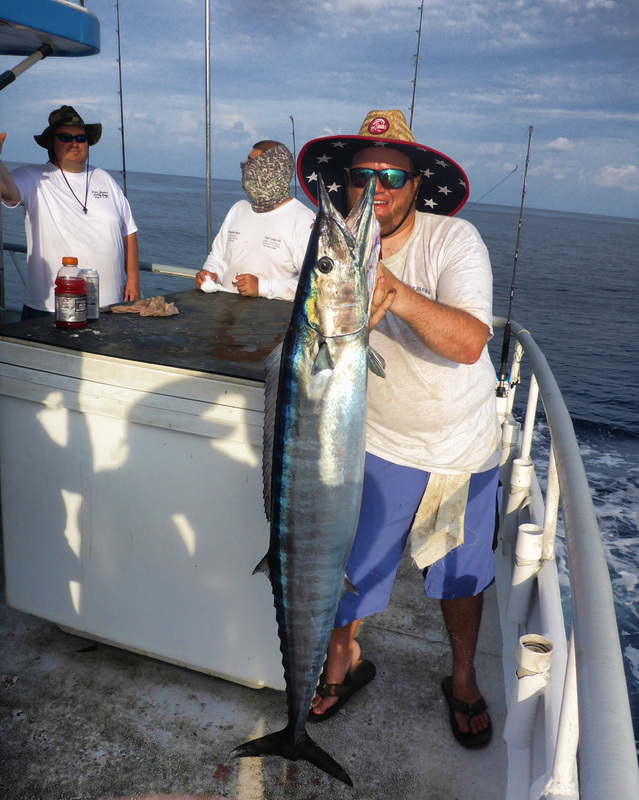 Many have adventured to the Dry Tortugas fishing grounds; some have adventured to the Pulley Ridge area and fished the deep drop zones in the daytime and shallower areas at night. 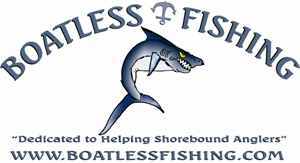 Not many if none have only fished below the 500 foot mark and the shallows of Pulley Ridge a full 3 days (if someone has congrats you kept it quiet long enough). 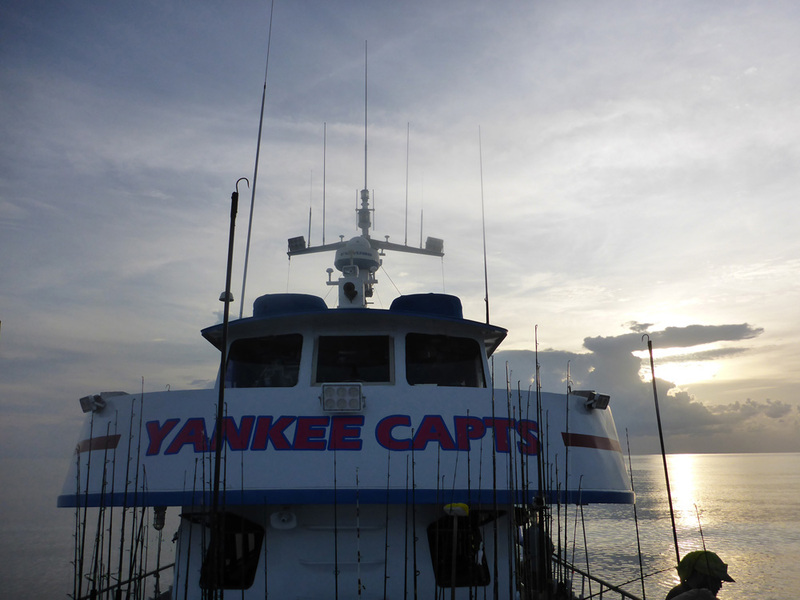 This trip started when members of the Boatless Fishing forum got together at a BBQ, some dreamed of a long range Florida fishing trip, since a few of us had done this before we suggested a few options and one topped them all so we said lets go on the Yankee Capts, let’s put a date and ask the options. 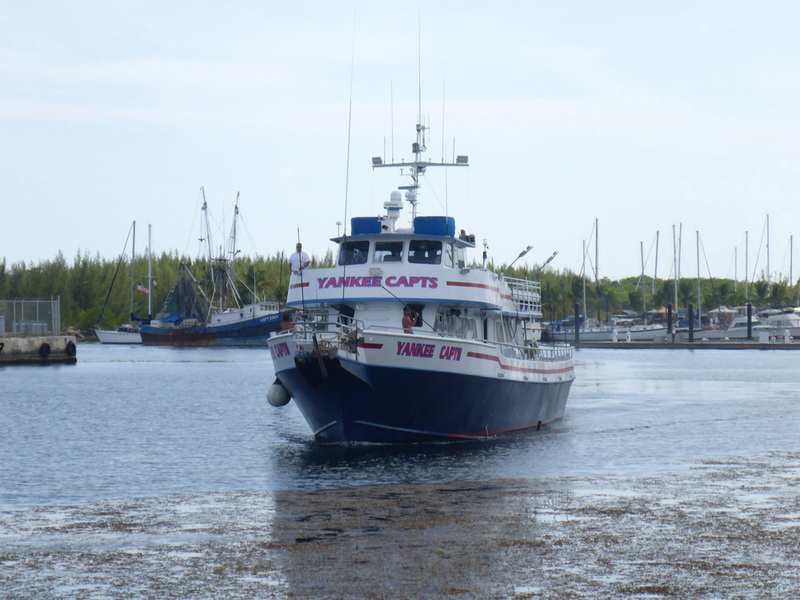 I emailed Captain Greg Mercurio of the Yankee Capts and asked him for rates and dates. 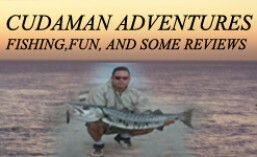 He came up with a great idea that involved less sharks than in the Dry Tortugas and less quantities of small size fish, but a novelty on its own, something a little different; A focus on quality fish, let’s go to Pulley Ridge and explore fishing on top of the bank in less than 400 feet and doing so full time. No deep dropping that requires electric reels. That was the main idea behind this trip and what can I say, he was right on the money. We found quality and plenty of it. I can only let the pictures speak for themselves. 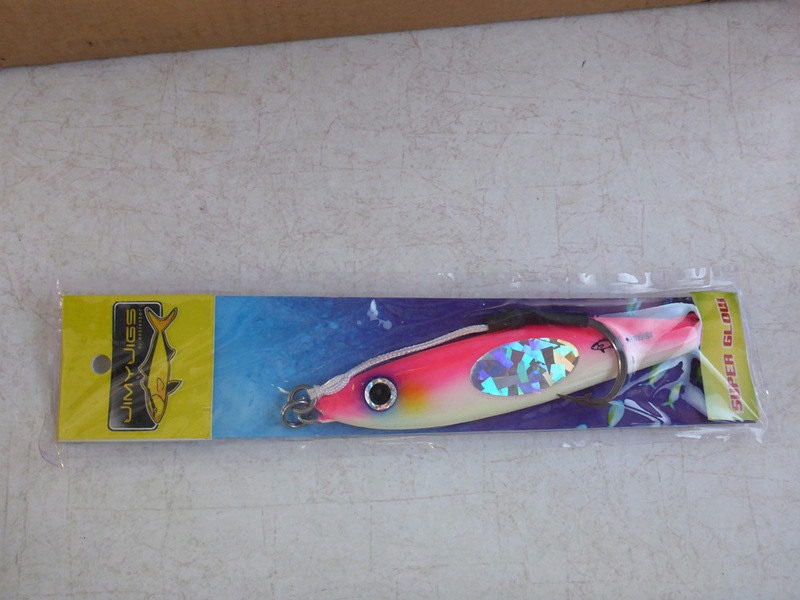 We told people not to focus on buying expensive baits like goggle eyes. 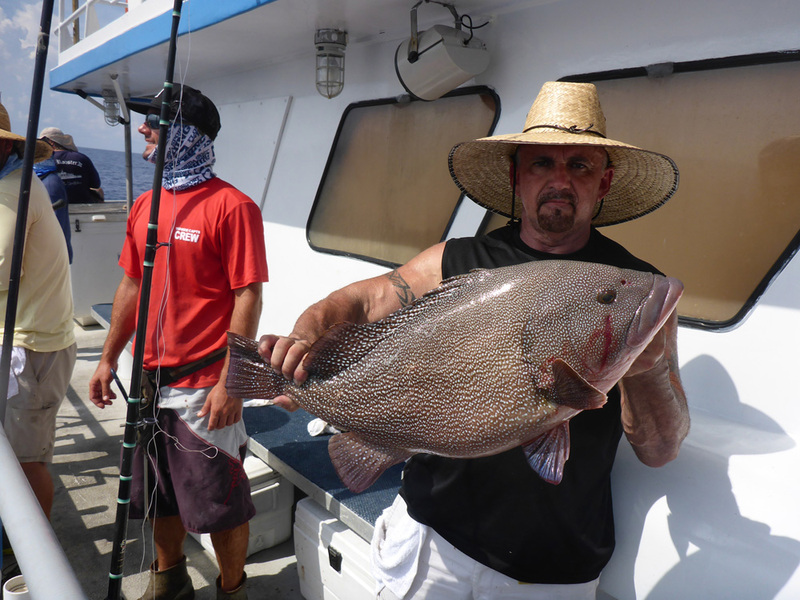 A lot of people still did, well, it didn’t work so well here The fish wanted oily or bloody baits like speedos bonita. Squid did well enough in my opinion. 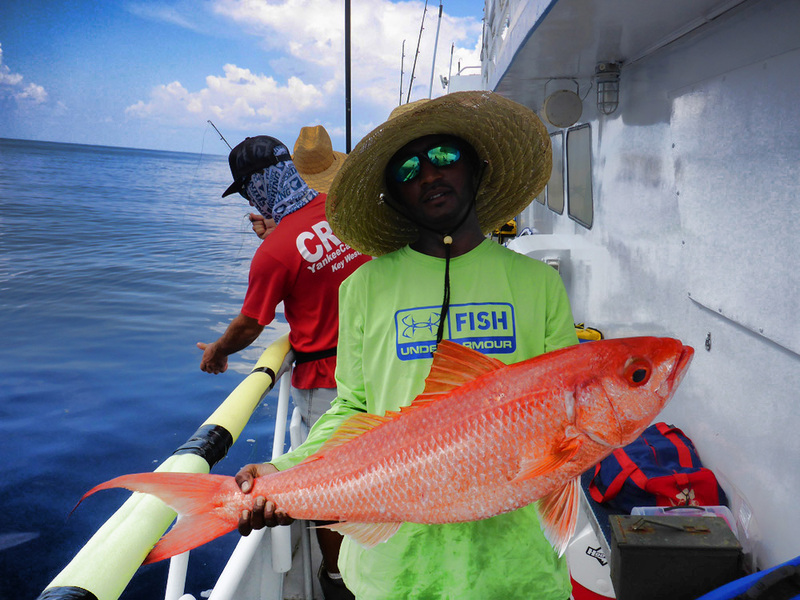 As for gear just stay with the regular Dry Tortugas gear. 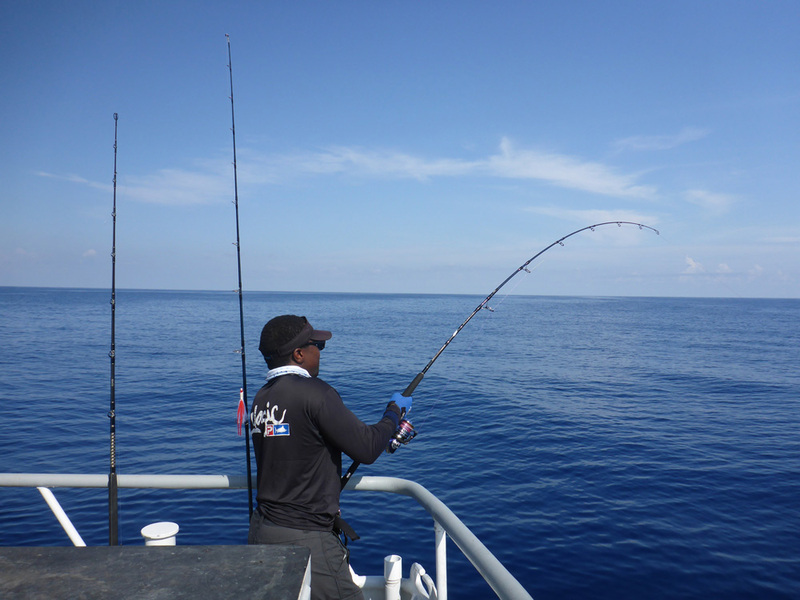 Just like Captain Greg recommended; 50 pound test braid was perfect to get the bait down, a 15 foot top shot of 50lb test mono was sufficient, a 10 to 12 ounce bank sinker tied to a swivel placed on the main line and then a bead on the main line. Then another swivel and about 10 to 15 lb test mono with a 7/o in line circle hook was the preferred rig ( http://yankeecapts.com/tackle-section/ ). For the vertical jiggers, 50lb braid to 10 feet of flouro carbon line and 220 gram jigs to 350 gram jigs was all that was needed under the conditions we had. 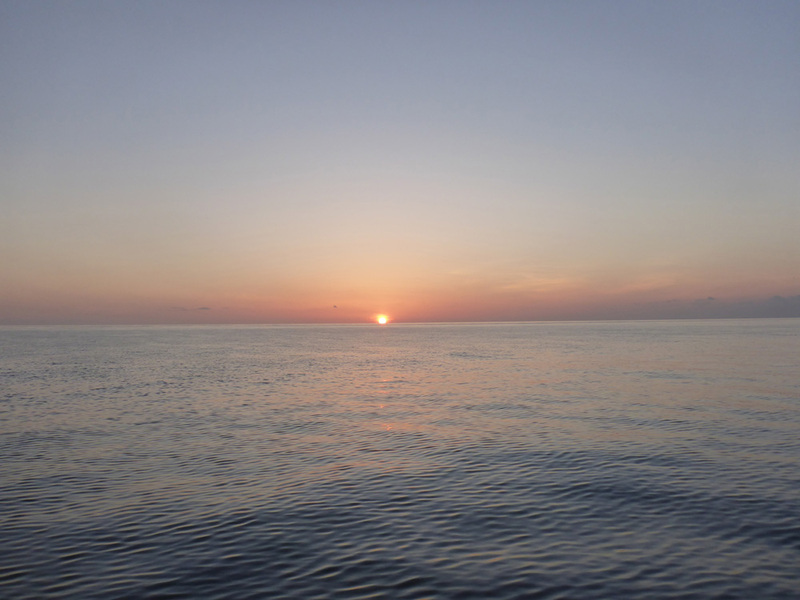 We were to depart at 8pm, but Captain Greg contacted me the prior day to see if we could leave the docks earlier since we had a long drive to Pulley Ridge. 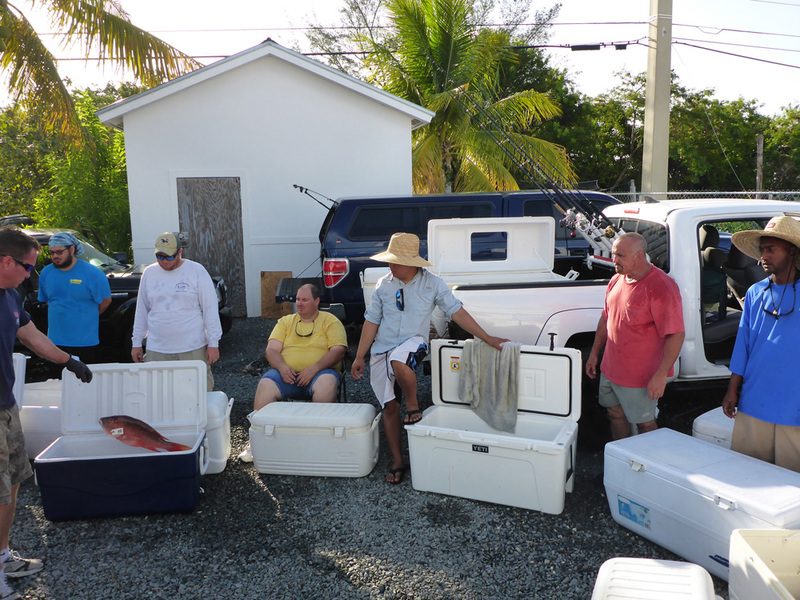 We all got there with in minutes to 3pm and waited for the boat to return from filling the boxes with ice and the boat with fuel. 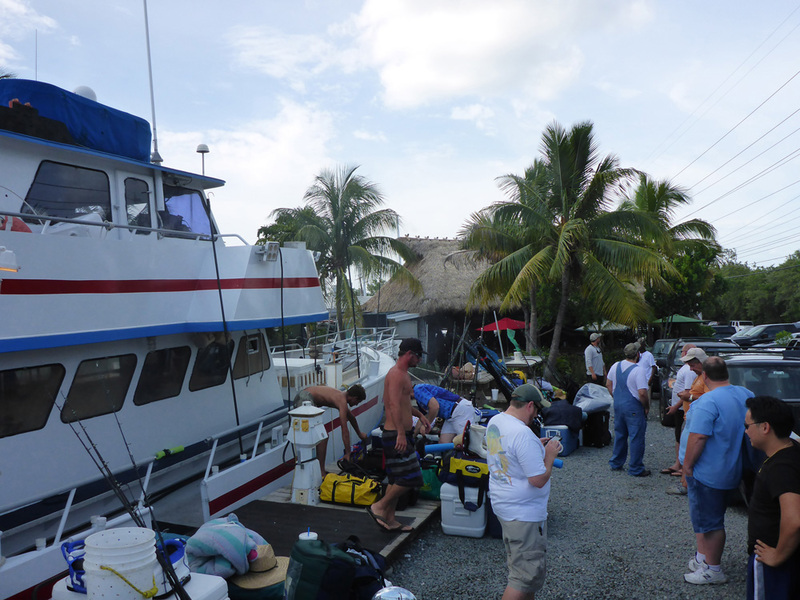 We all gathered by the boat and looked like a Marine Flea Market was about to happen. We all prepared our final adjustments to our gear as the night approached. 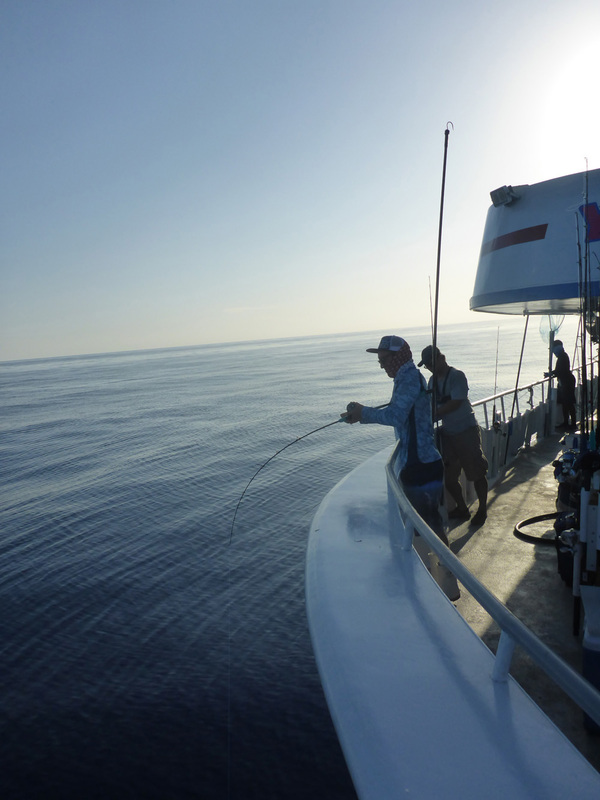 After many ours to Pulley Ridge morning time was there and our co Captain was waiting for the morning wahoo bite. But we had to wait for that one. 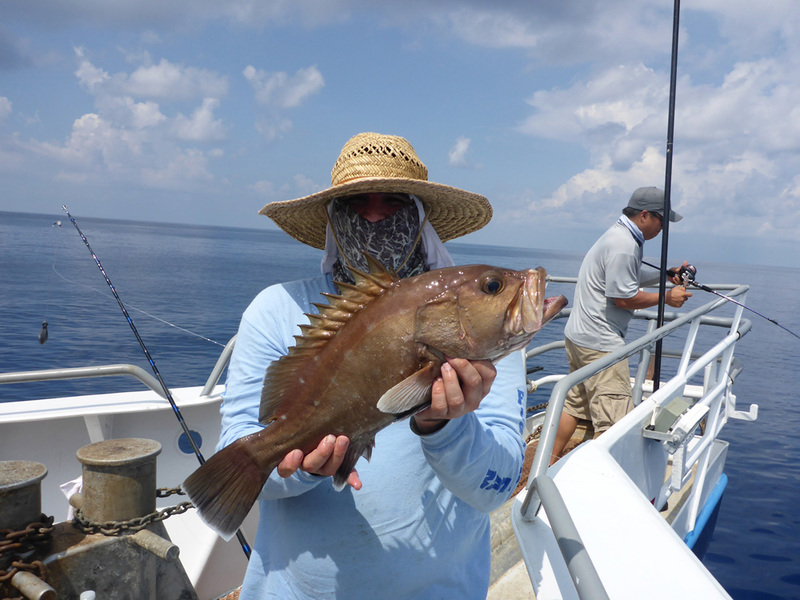 She knew we were getting close to the fishing grounds and in no time our Pulley Ridge veteran came up with one stud of a 17 pound Scamp Grouper. 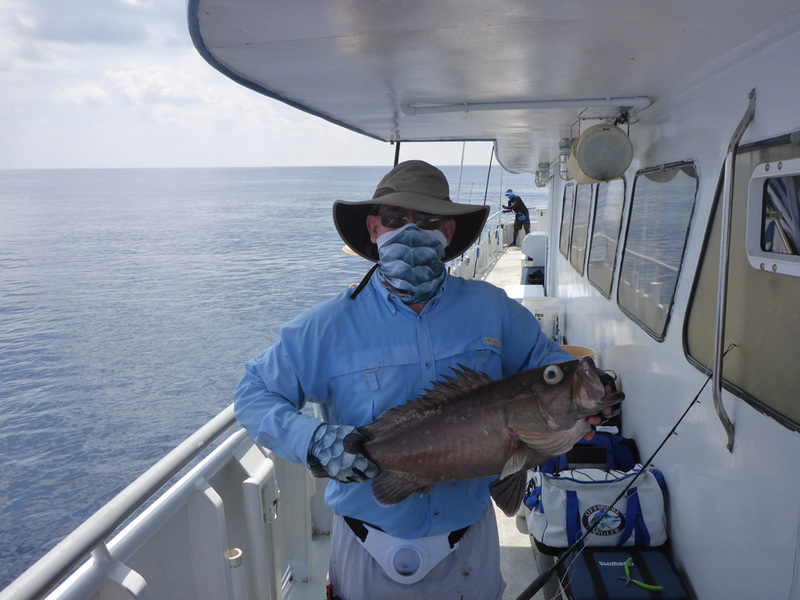 Winning the prize for first grouper caught. 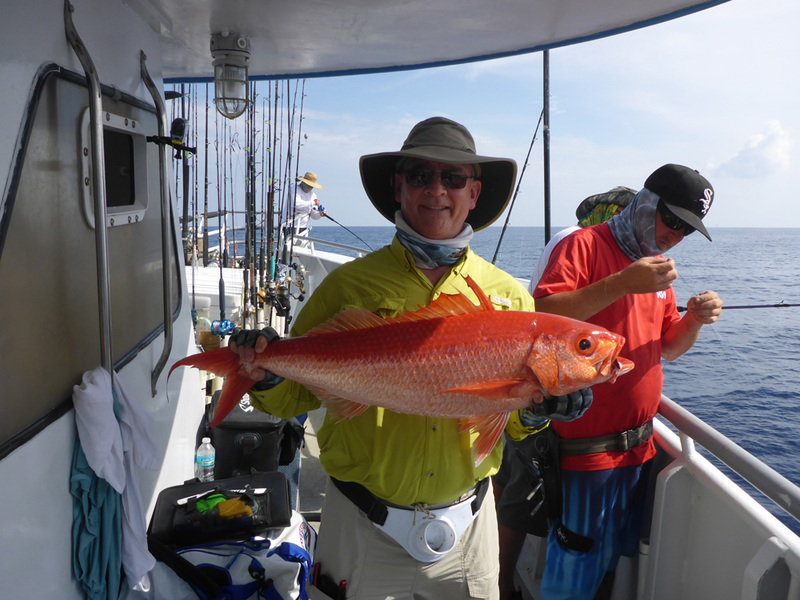 Coincidentally, Bill who is an avid traveling fisherman was slow pitch vertical jigging and hooked up on the very first Mutton Snapper of the trip. He won a prize for doing so. The day started on fire, there was hook up after hook up. 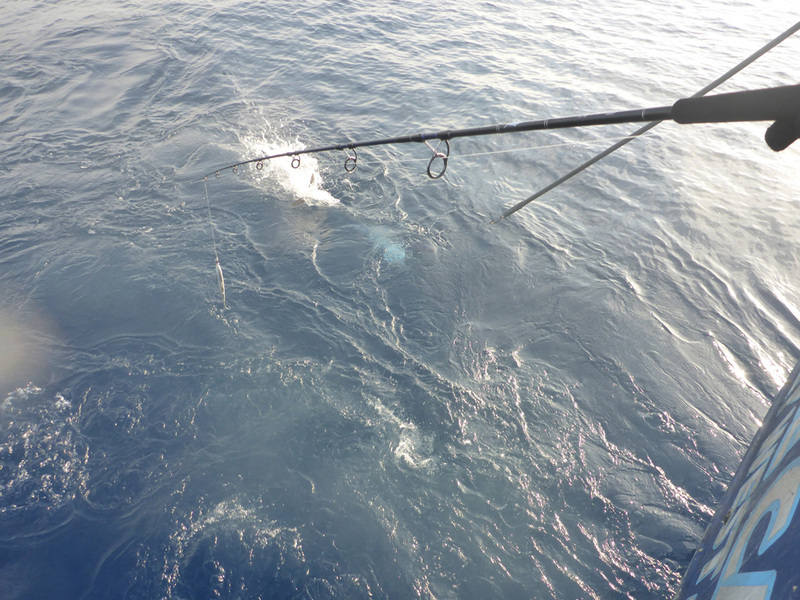 Bait and vertical jigs went head to head. 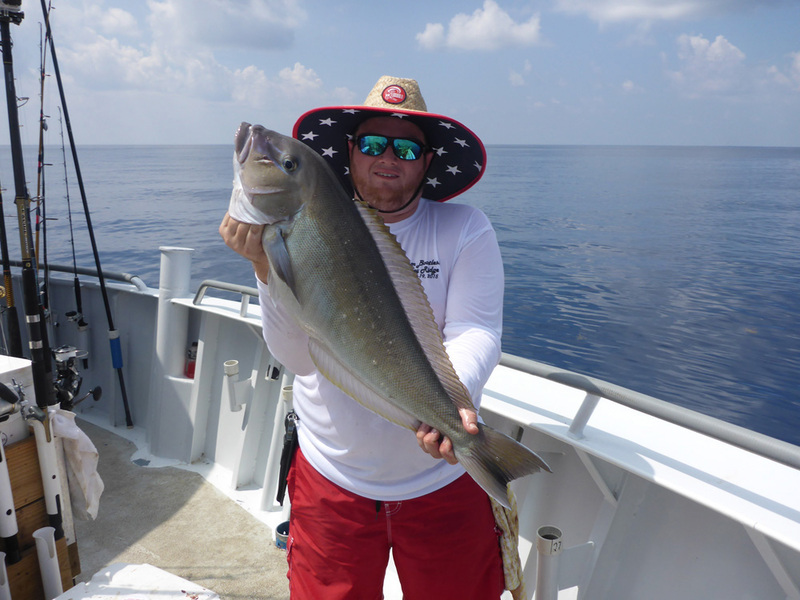 Here is Jarred a new comer to vertical jigging and now an avid slow pitch jigging man, he hooked up on a slow pitch vertical jig with a Red Grouper. The bite had slowed down on the first stop and so we moved to another and then a little deeper. 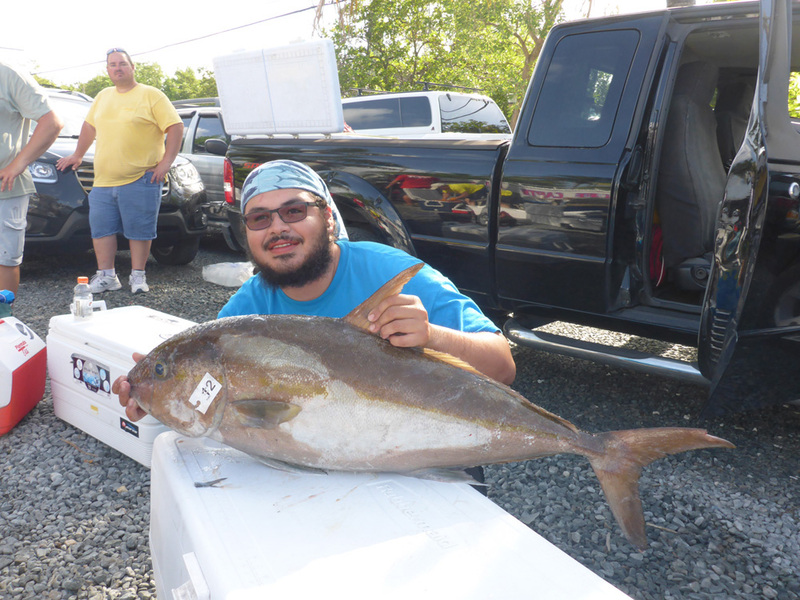 Nilson, did not take long before hooking up with a nice Amber Jack which was released. 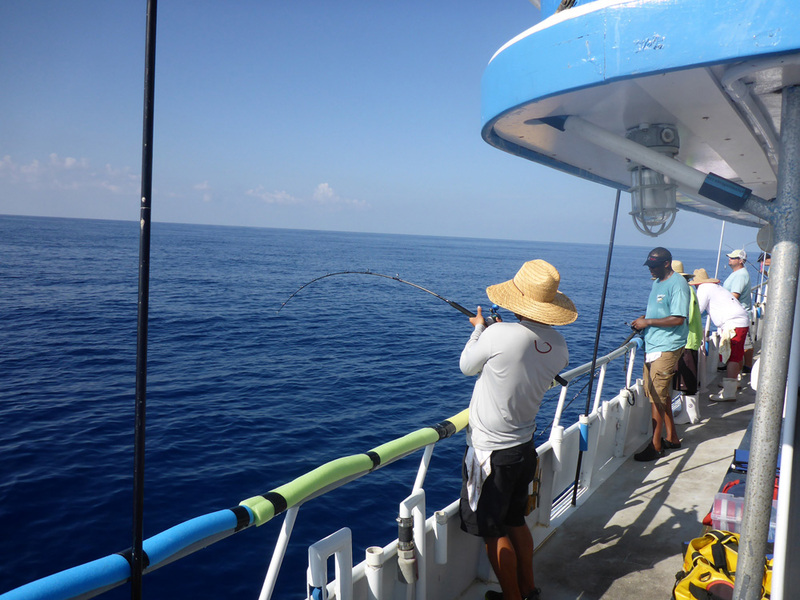 A lot of screaming reels all over the boat with double hook ups, up to quad hookups, the over under screaming of the mates could be heard from one end of the boat to the other as the mixed bag of fish started flooding the decks. Some bonitas (little tunny) found their way into the mix and a regular scene to happen of the days of fishing. 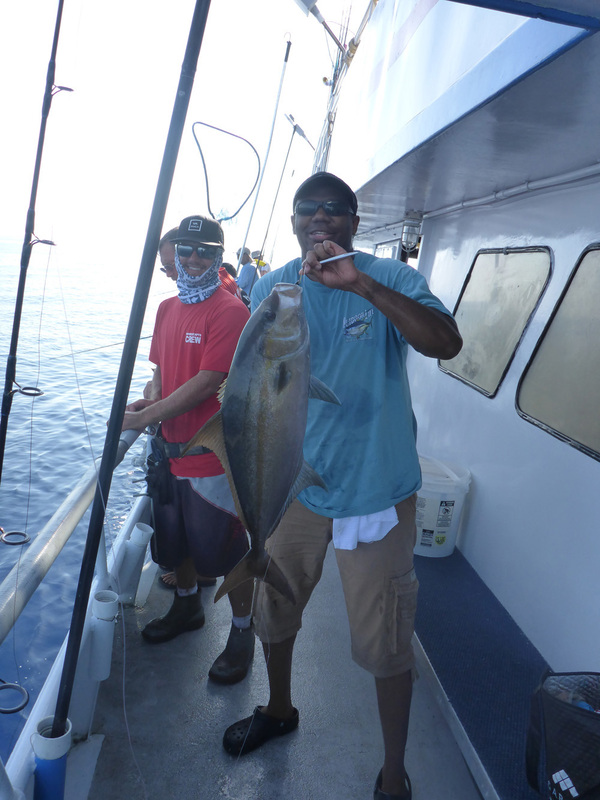 Andre, a new face to our group was enjoying some vertical jigging action and caught a nice Almaco Jack. Will, a now vertical jigging veteran showed his jigging machine aptitudes switching from speed jigging to slow jigging when the moment required it, but he also threw a pencil to change routine from time to time. Next to him is Chris, a new comer to the Long Range scene hooked up on not only a good fish but on the urge to go back and do it again. The bite was still almost non stop, we hit the right place at the right time. 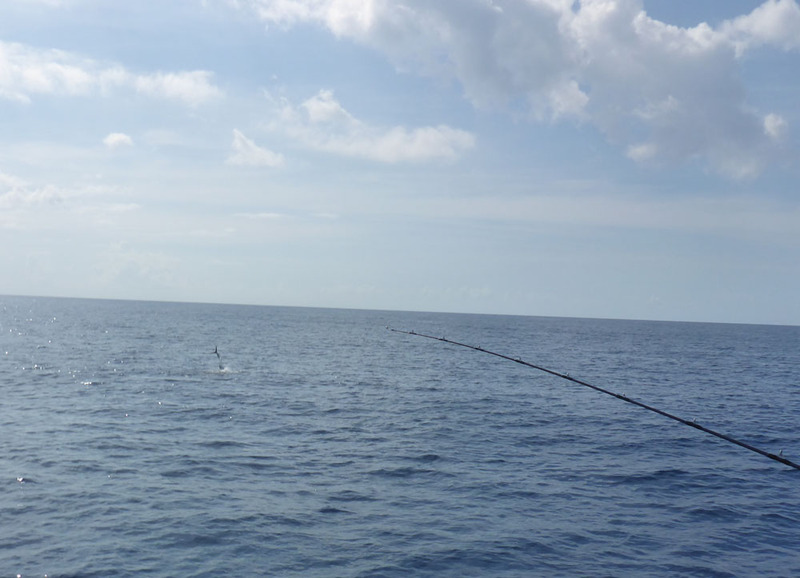 On came Quy, he jumped on the trip after another fisherman hurt his knee. I got to to tell you he made the right decision as he was getting some nice fish. Next to him is Art who once again nailed another quality fish and not to be his last either. 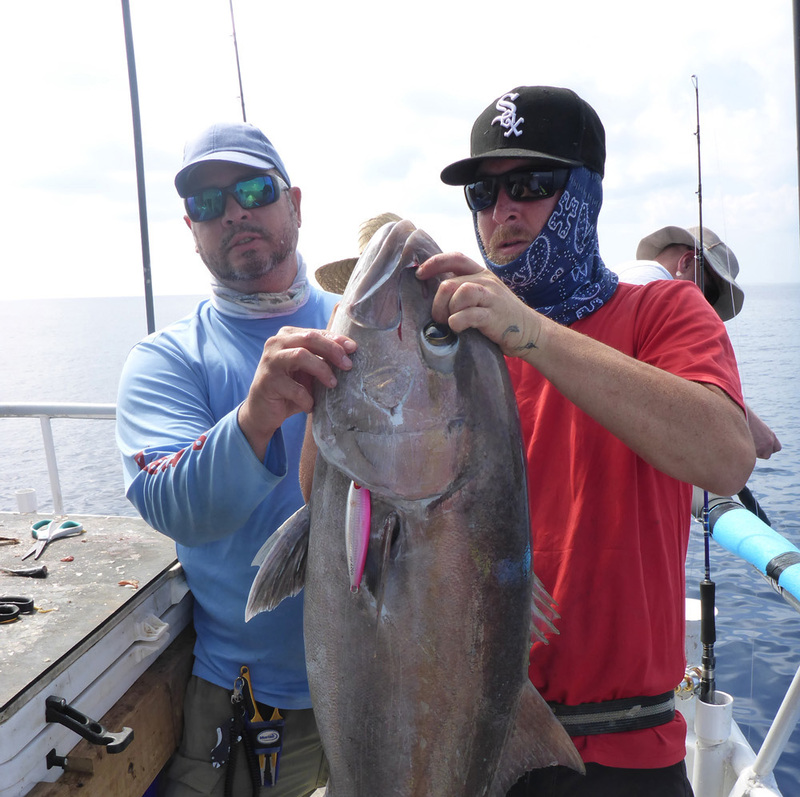 Well I was not only documenting the trip I also got to fish and this time I hooked up on a nice Amber Jack from 400 feet of water on a Shark Slow Pitch Jig. 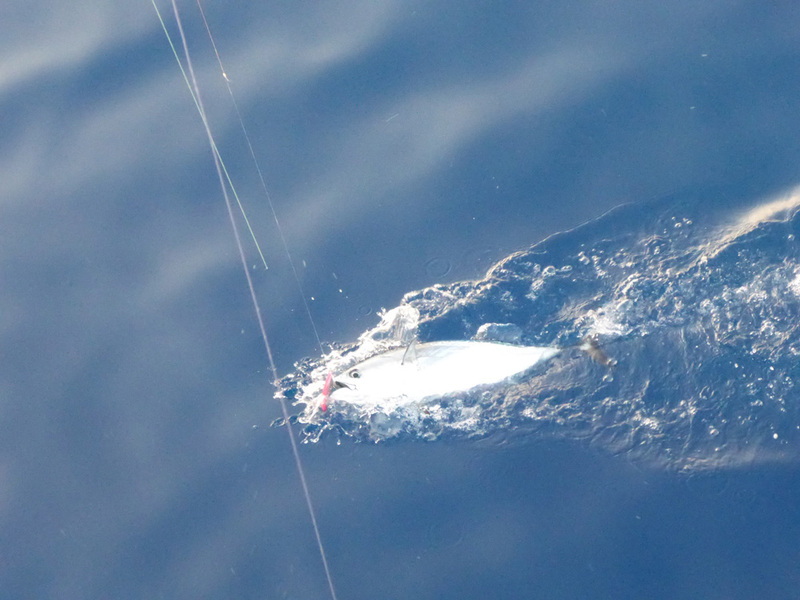 The the jigs kept on bringing fish up to the decks, this time bill and Jarred had double headers on slow pitch jigs. 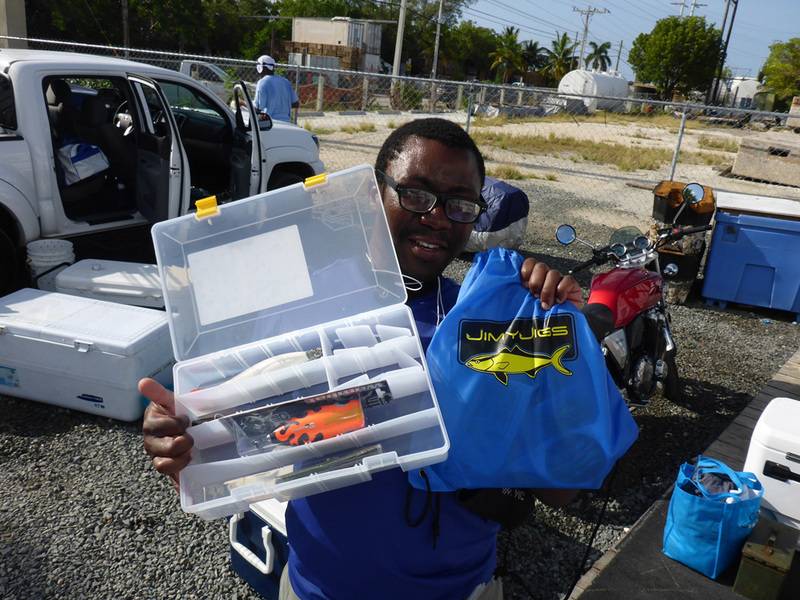 Jarred was also having good luck with Shark Jigs. 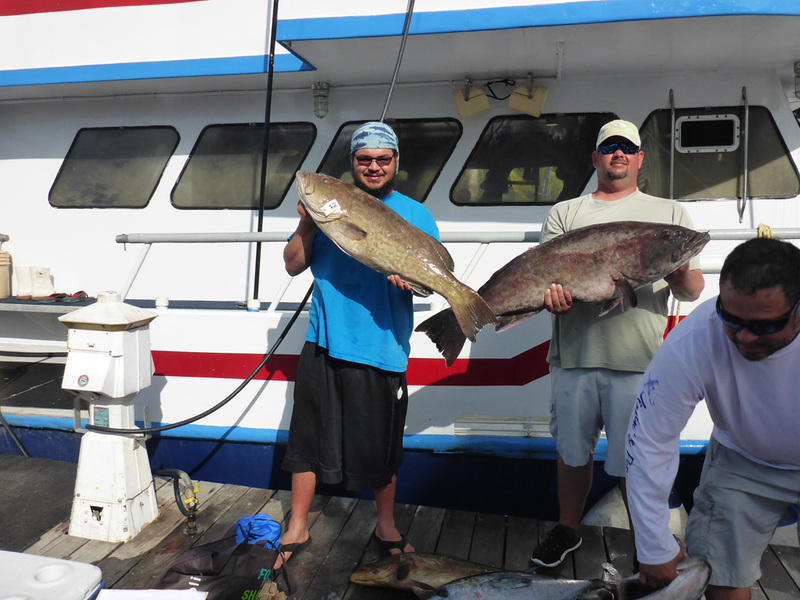 Jarred has a Yellow Edge Grouper and Bill has a Snowy Grouper. 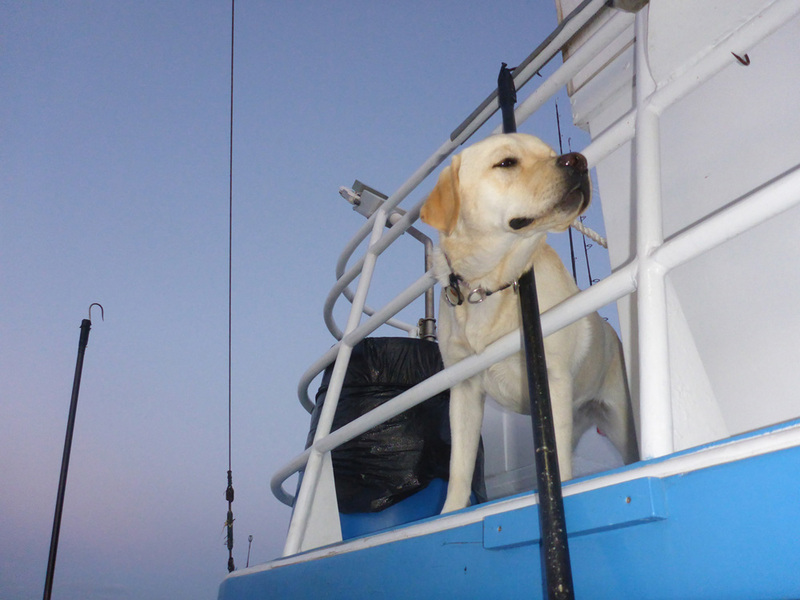 Rori joined the party with a nice Blue Line tile and Nilson got himself a Snowie Grouper snack. 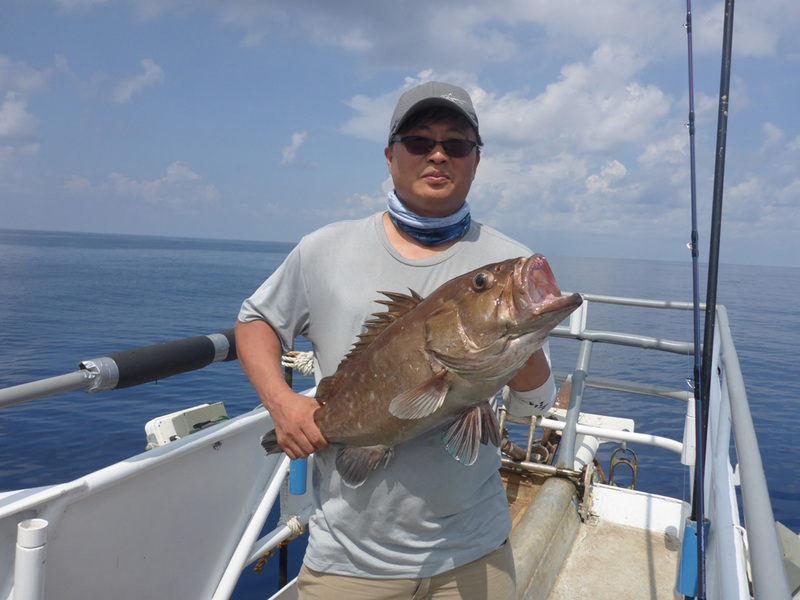 Jongsoo hooked up with a nice Snowy Grouper. 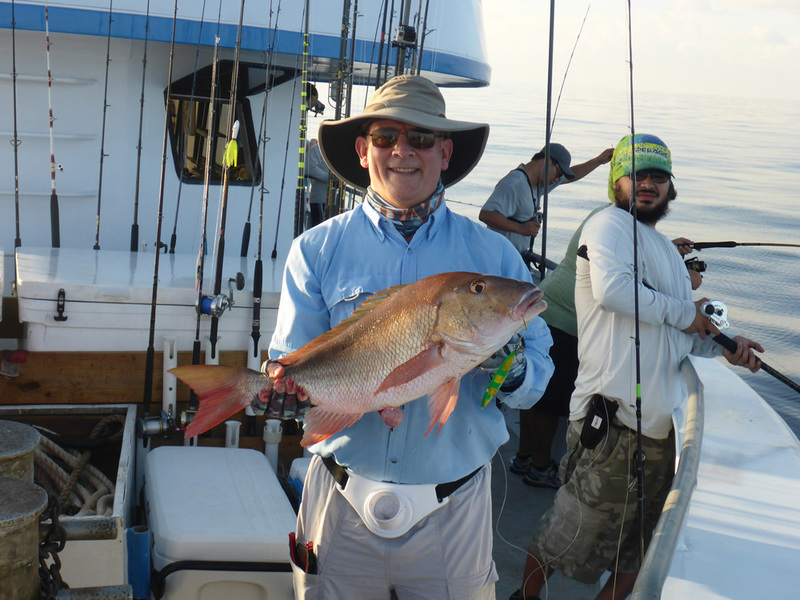 And then again with an Amber Jack using a Shark Jig. 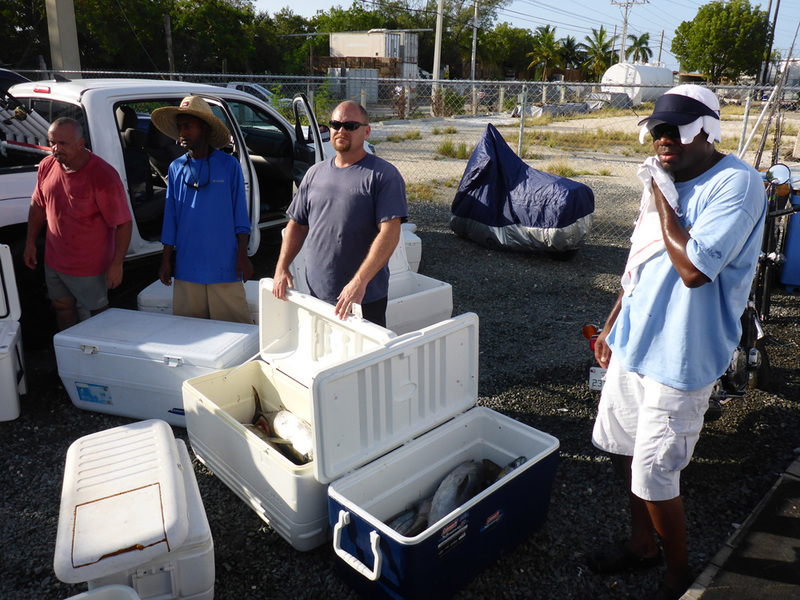 Nilson and Imran hooked up on some nice beauties Queen Snappers. 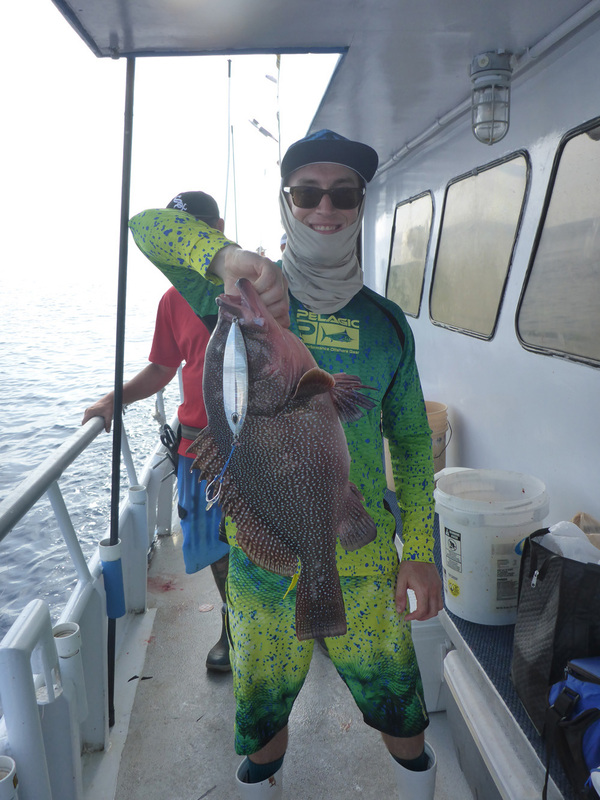 The variety kept coming, big Gag Groupers started to show on this trip. 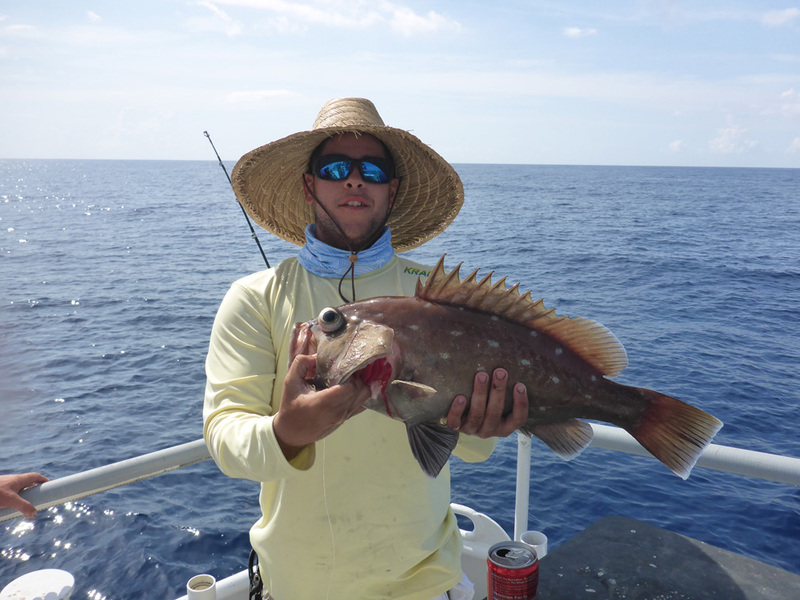 Below is Danny with a nice 27.5 Gag Grouper caught at 11:30 am of the first day of fishing. 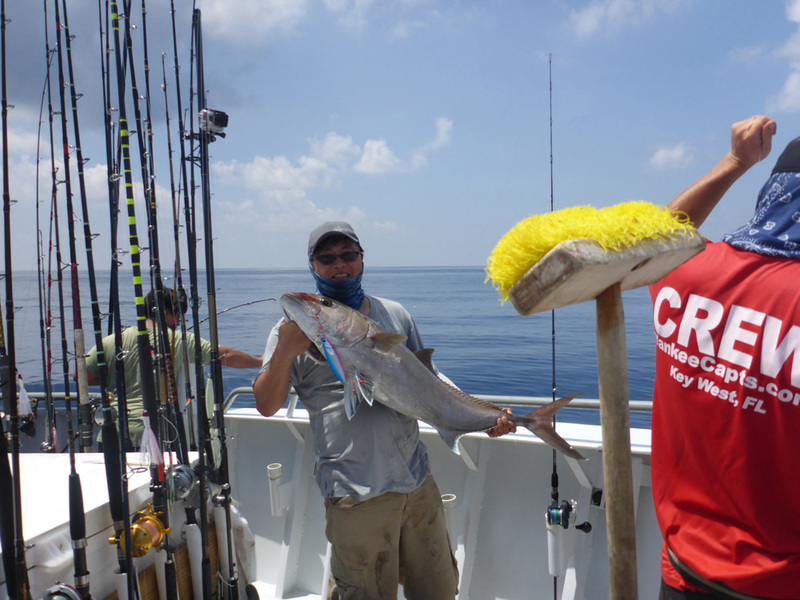 This fish was caught with a whole squid. 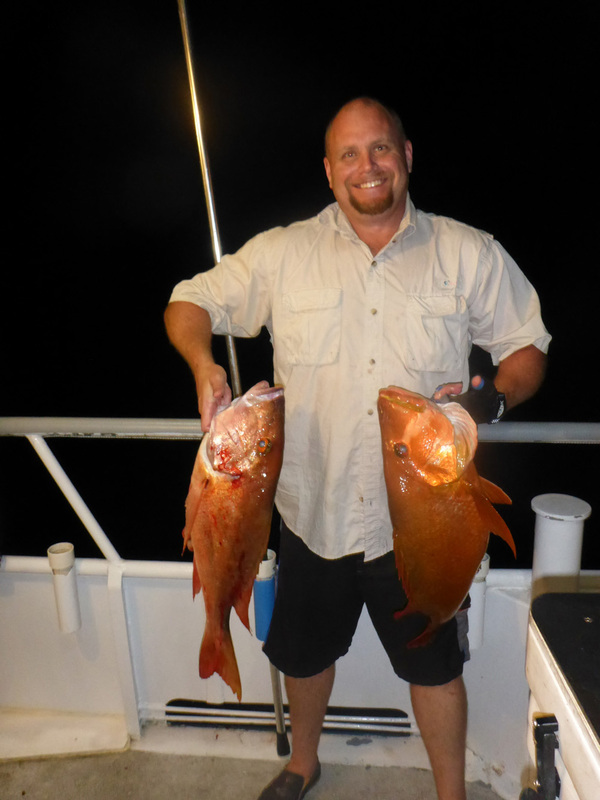 Some more Amber Jacks were showing up in between the Gag Grouper Catches. 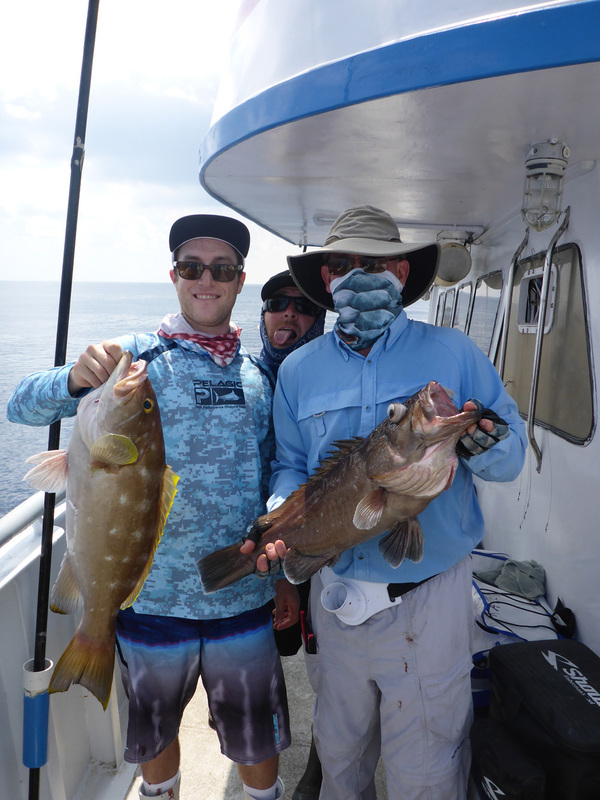 It was a madhouse again with a mixed bag of fish comng over the rail and them again more Gag Groupers made a showing. 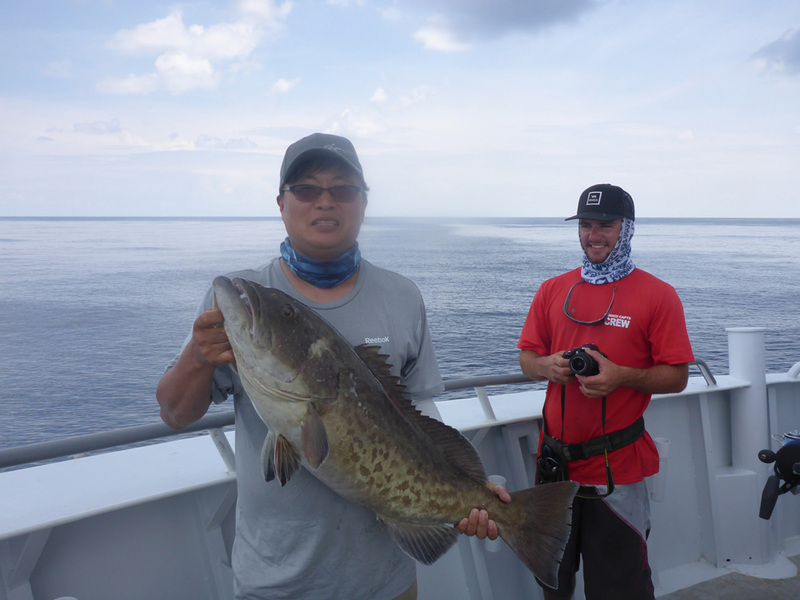 Jongsoo got a nice one that went over 20 pounds. 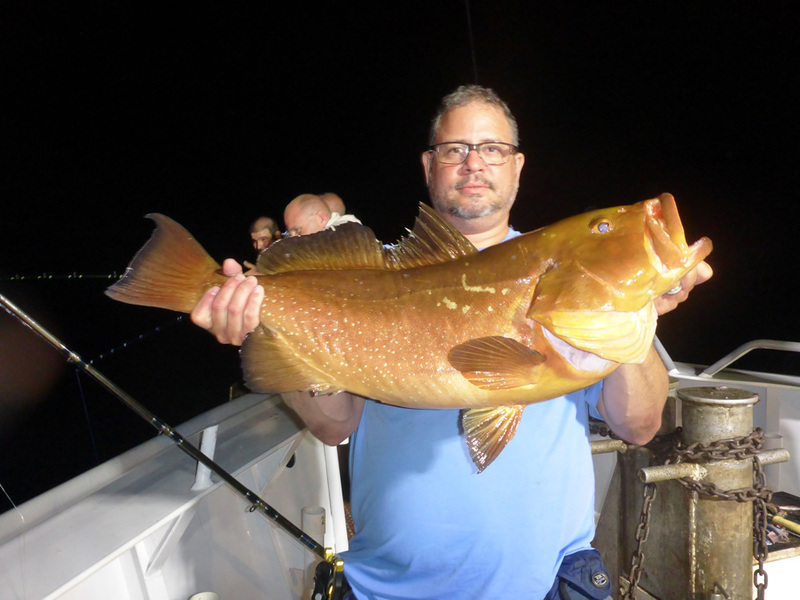 I got another Gag Grouper that went 29.5 pounds. 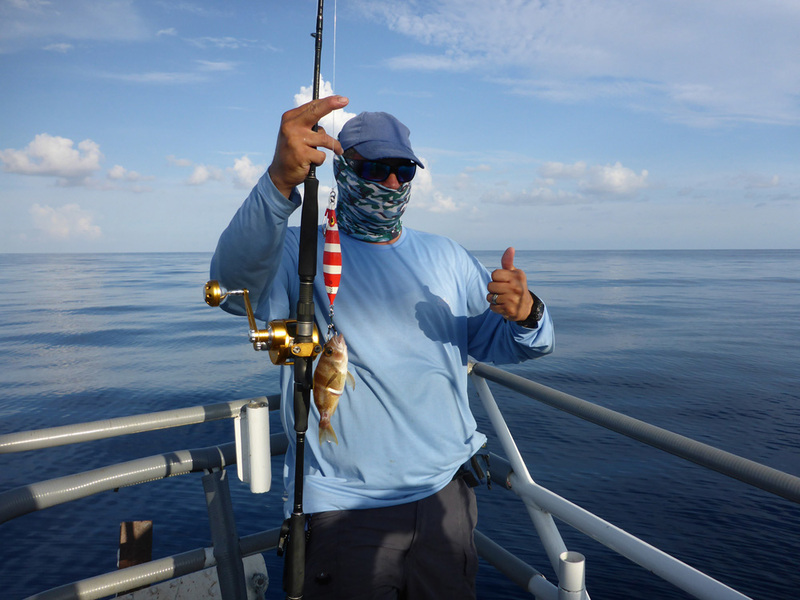 Then Victor joined me as he was part of our triple Gag Grouper hook up. The hot bite was quick, it only lasted 30 minutes and by noon things had calm down. The only thing caught for an hour was strangely enough, a startfish. No worries it was released back to the ocean. Then the fishing got a little slow with a few fish on every drop and so the sun started to set many took a nap or stayed away from the hot sun. That was a good choice. Night time came with a another nice mixed bag of fish. 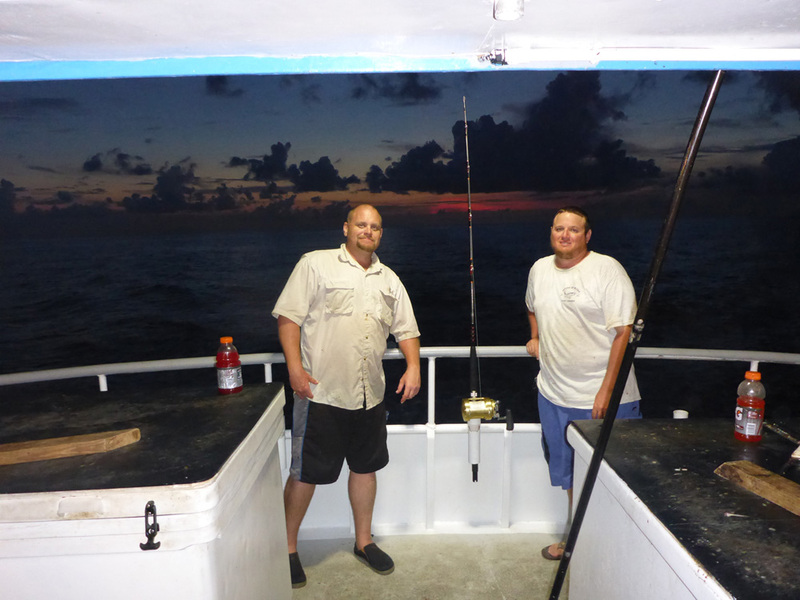 Rori started it with a Red Grouper and William caught a nice King Fish Mackerel on a Pencil. 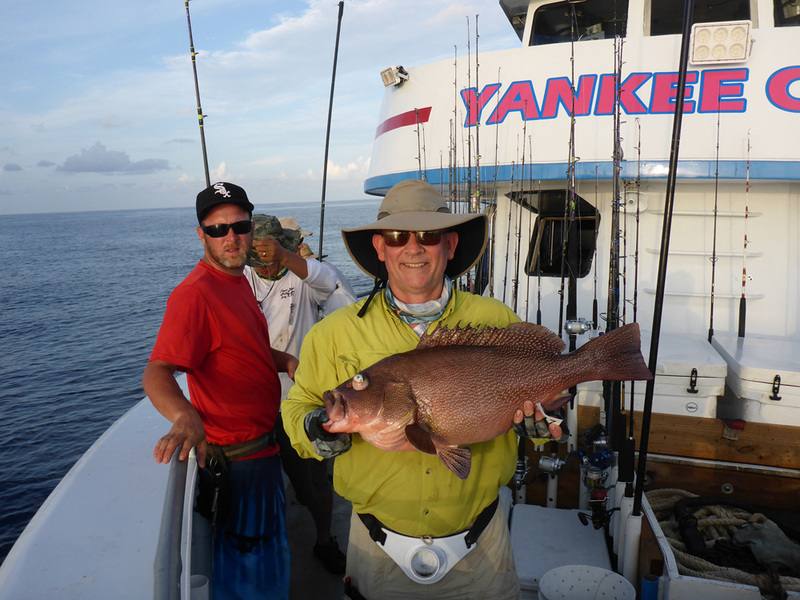 Danny got in the action with Black Fin Snappers and Rori got a nice Mutton Snapper. 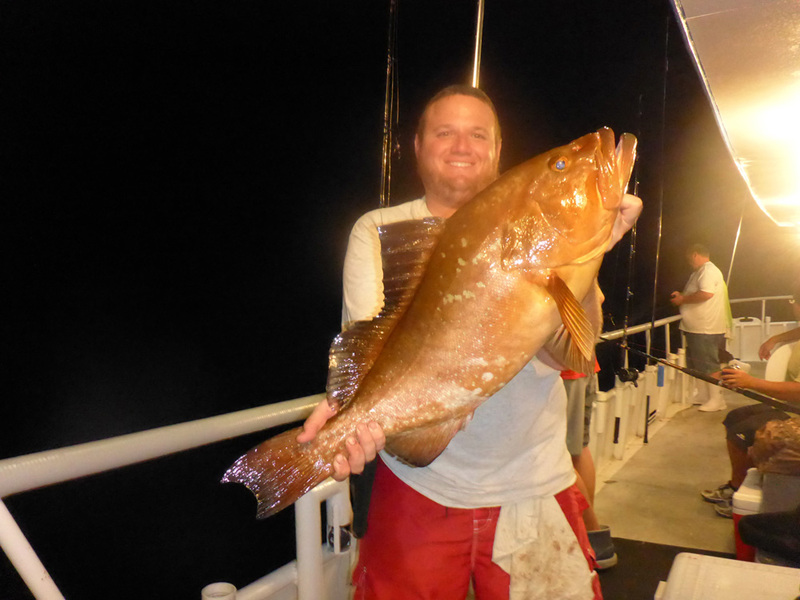 Then Rori hit it big with a nice Red Grouper at around 10 at night. 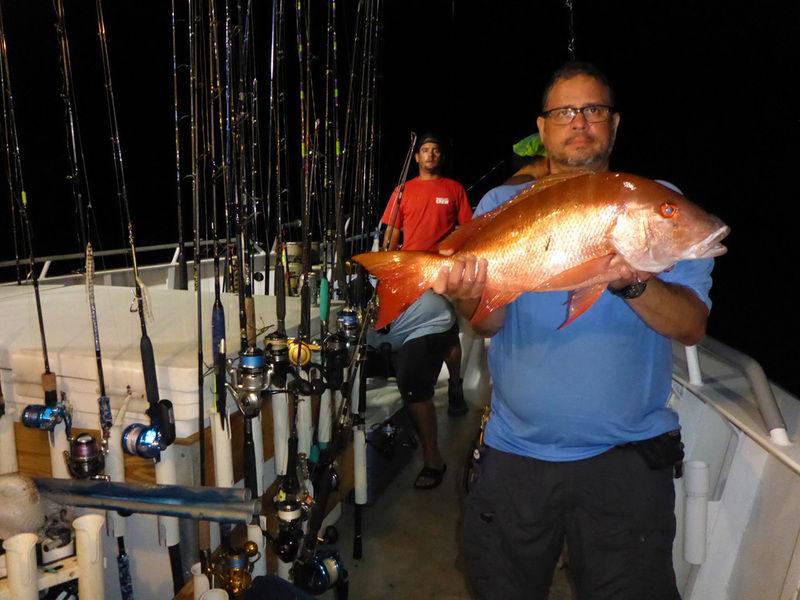 Once again the bite slowed down and slow pickings were back on, but then at 2am things turned around. 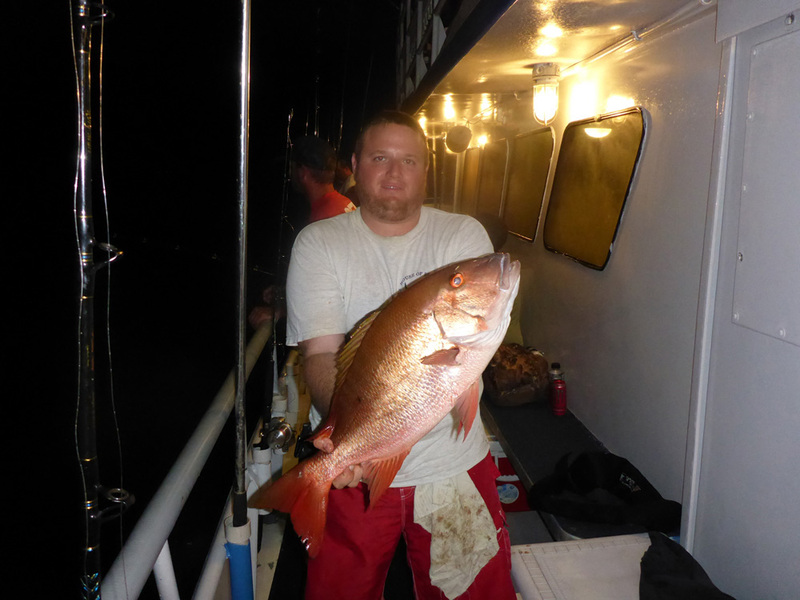 Chris got a Mutton Snapper and right after that a very nice Dog Snapper. 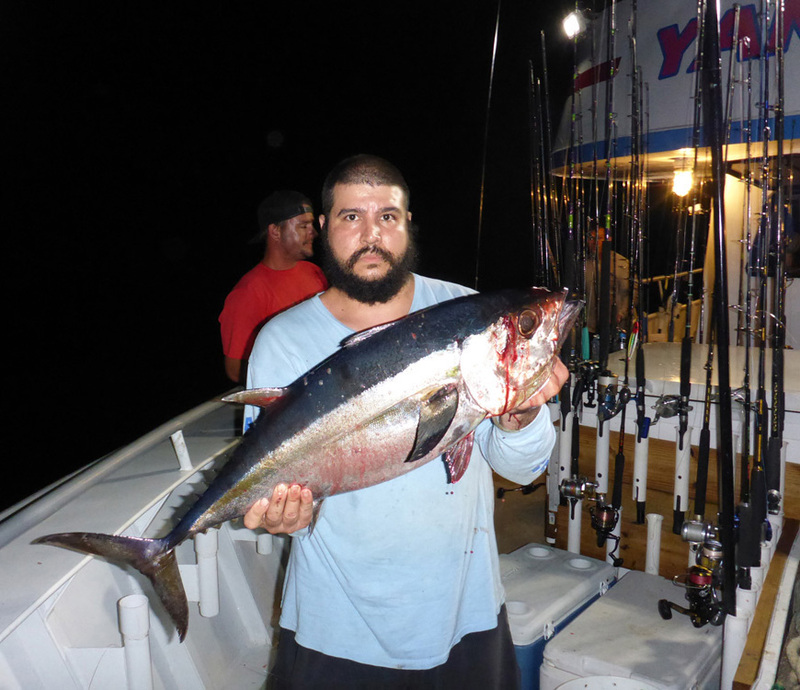 By 2:30 am Nilson got a nice Blackfin Tuna. 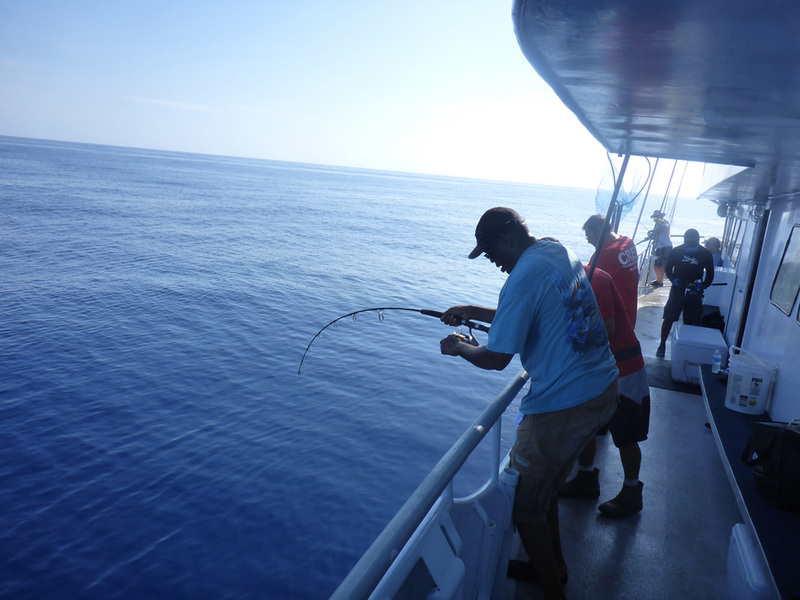 Many of the were to come via vertical jigging with glow jigs and even with non glow jigs close to the boat. Sorry that bite was just too hot for me to put the rod down to take pictures. 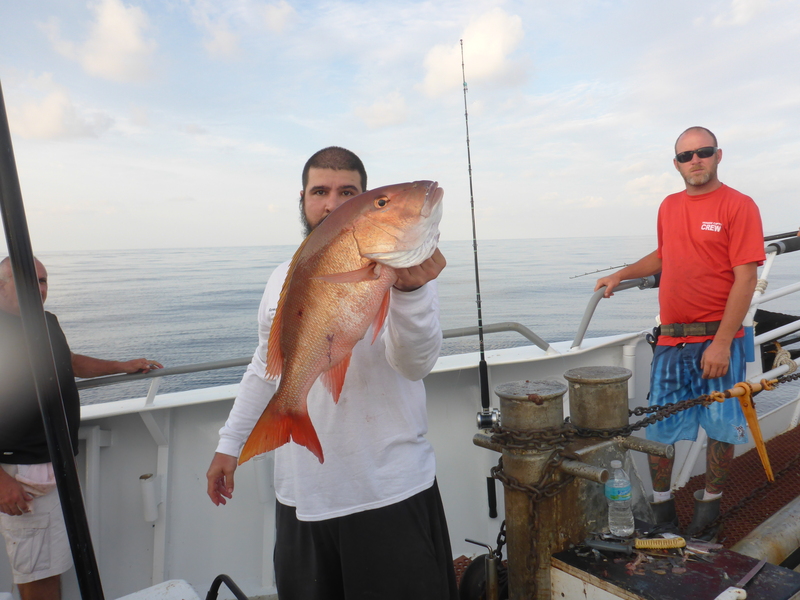 I followed with a Mutton Snapper and a Nice red Grouper. 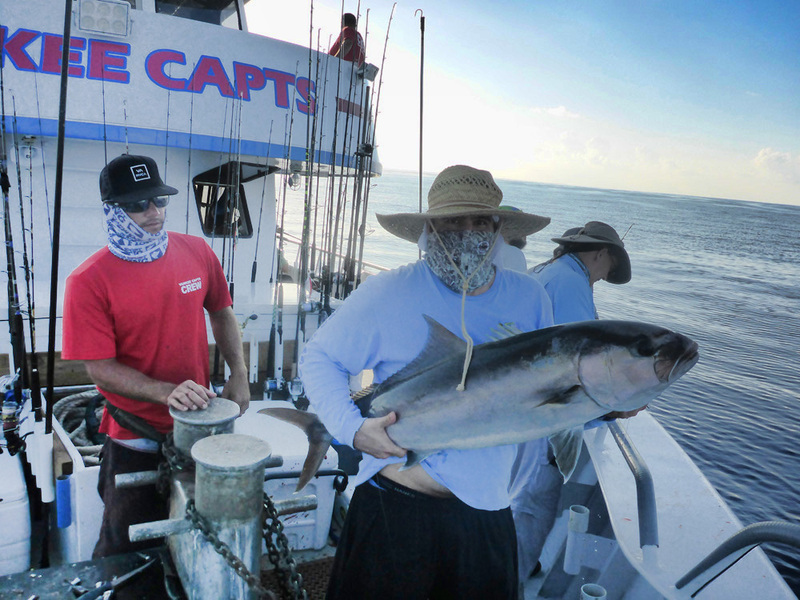 The bite kept on going on and off with waves of fish coming and going, this lasted until about 7:30 am and after it slowed down the Captain decided it was time to move and try something else. I keep telling people if you brought the gear to troll, do it. Rory did and he was rewarded. 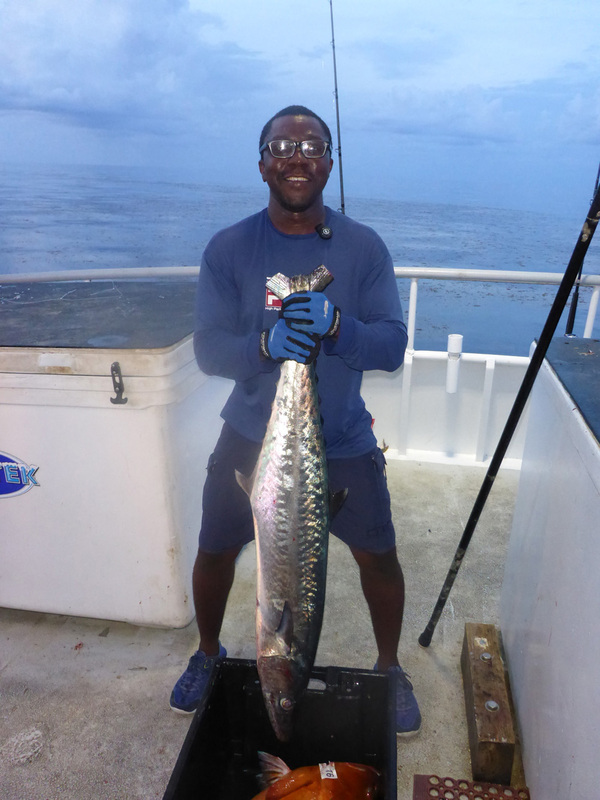 Up came a nice 35 pound Wahoo. I know that left a great taste on many people’s mouth. Got to love a quality fish like that. 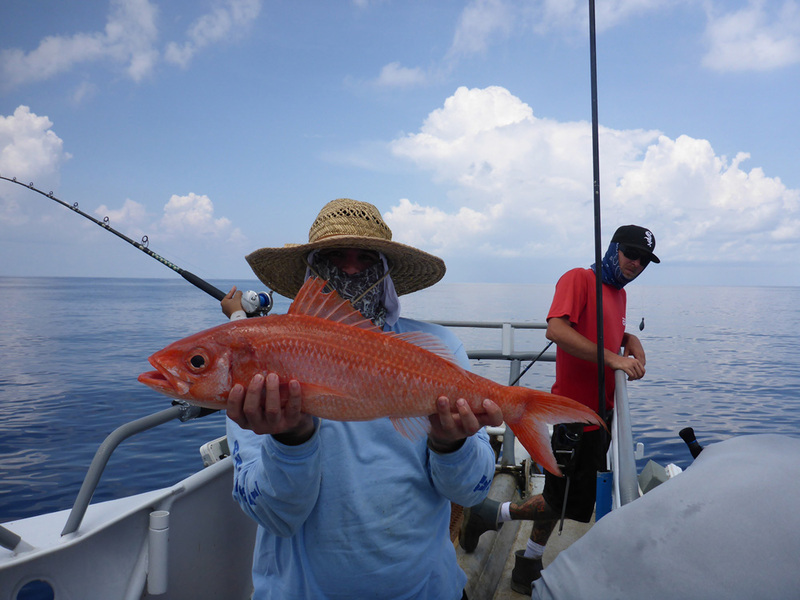 I fell as sleep during a hot Mutton Snapper bite that lasted a short 30 minutes. 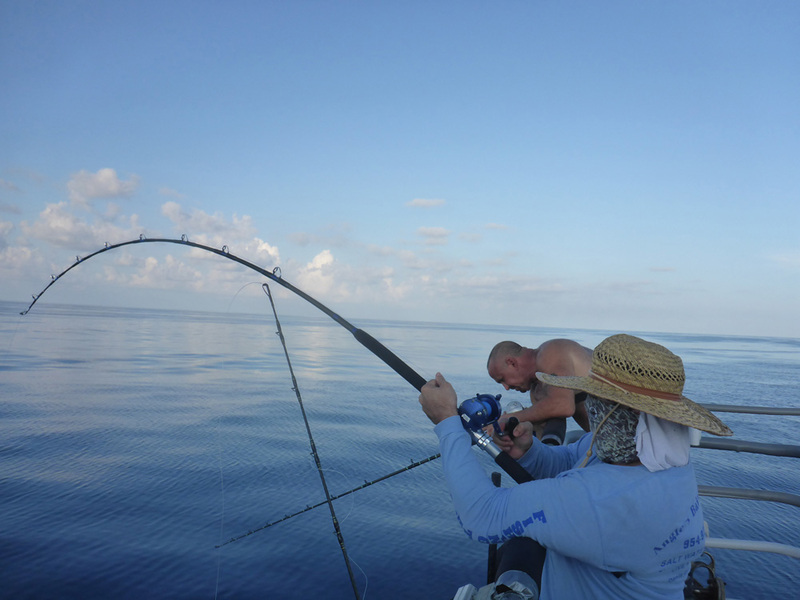 It goes to show you that you should always sleep when the boat moves and not when it stops to fish. 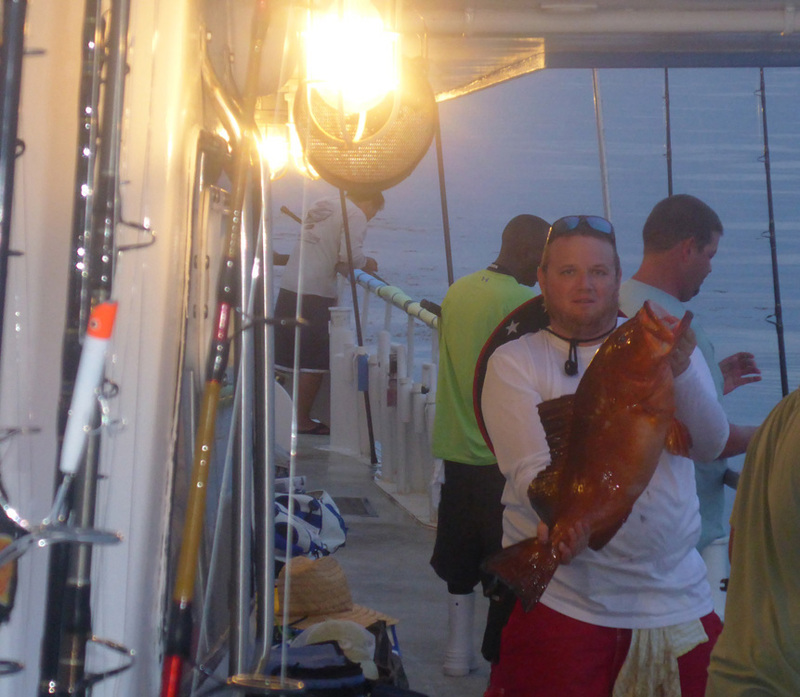 Well, after that was over a few quality Kitty Mitchel were caught and some were released. Here is Jarred again with another Slow Pitch Vertical jig caught fish. 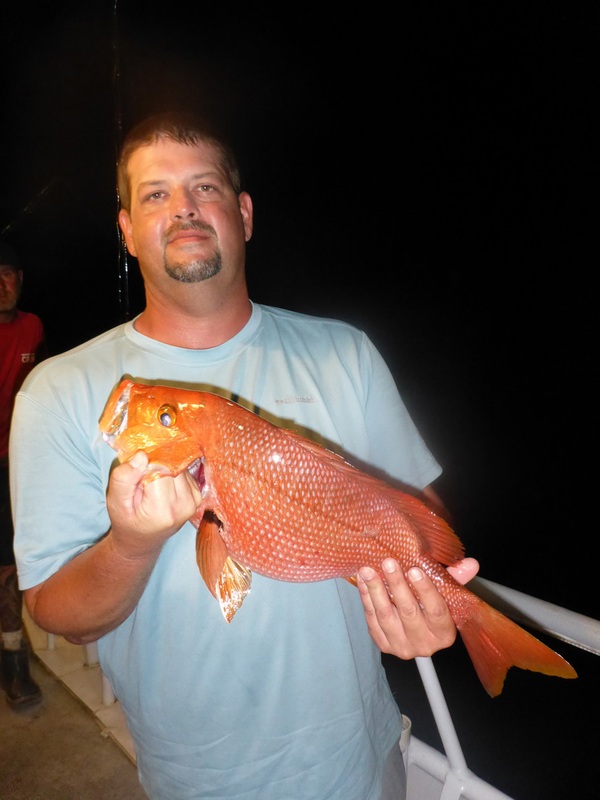 The quality Queen Snapper did not stop showing up. 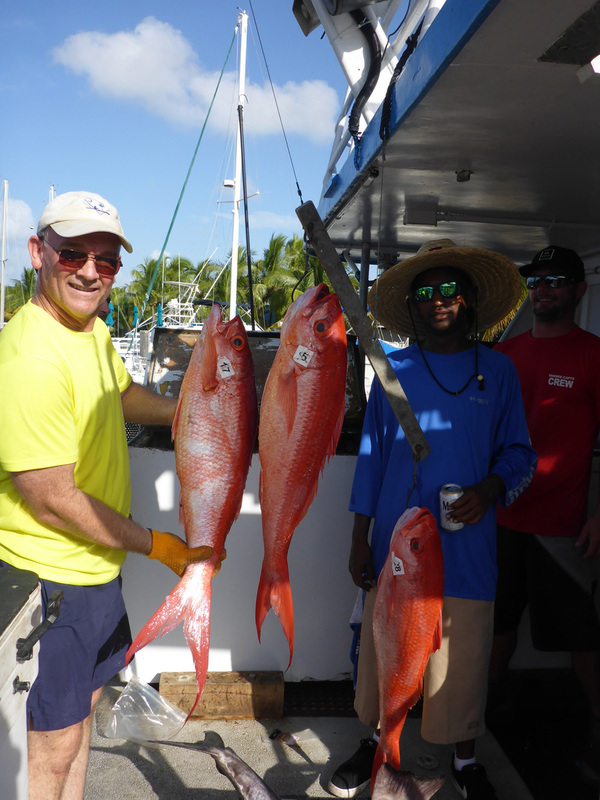 Here are Bill and Nilson with two more beauties. 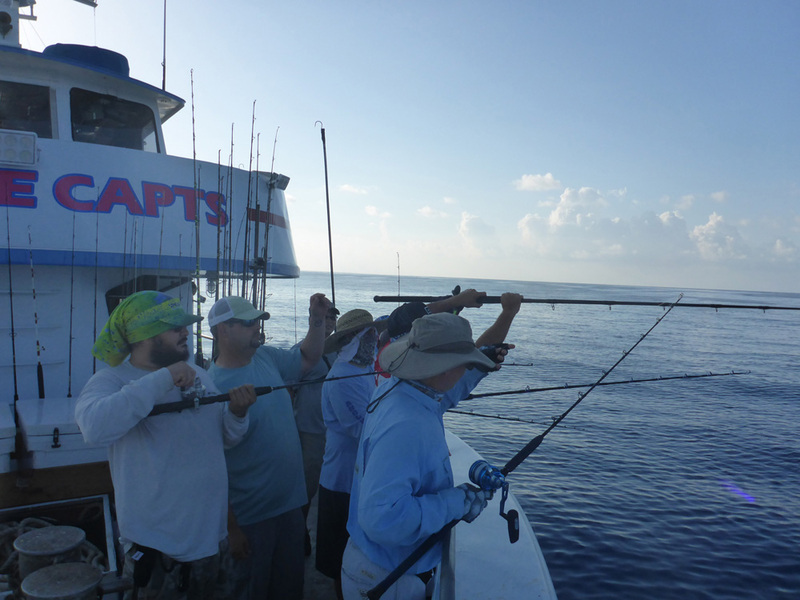 As the Queen Snapper were hitting the decks 3 sail fish were hooked. 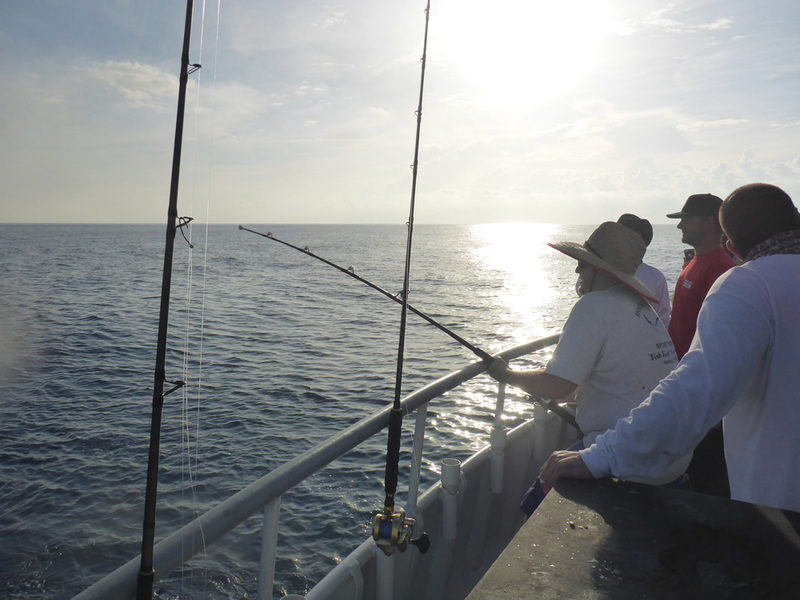 One by William on a vertical jig, one by Patrick as he was deploying bait, and one by Art. Hopefully the video will come out good. 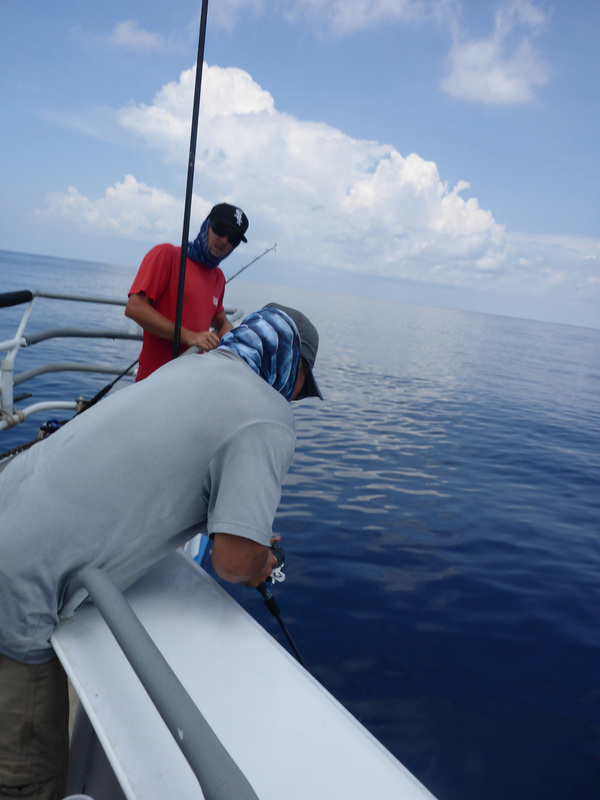 To top it off a Mako shark was hooked up and lost right at the boat. Chris and Art kept on the quality hunts. 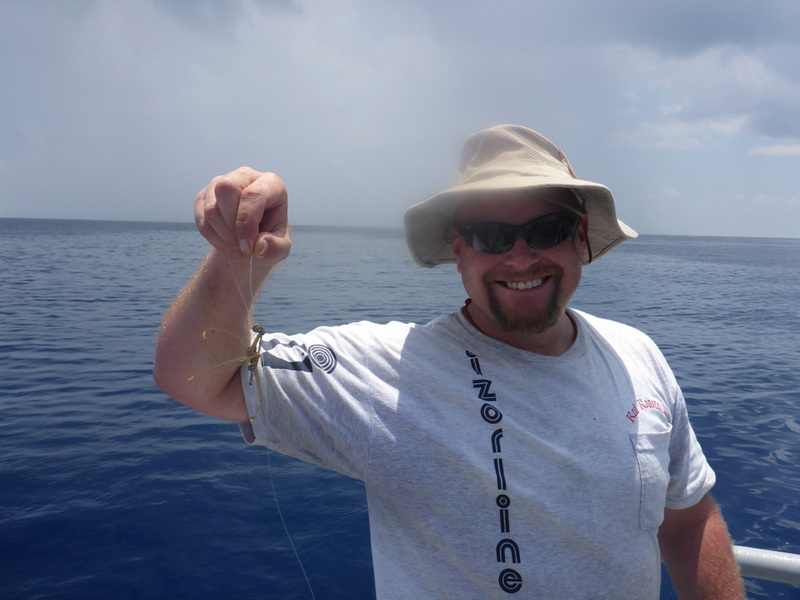 It was almost the end of the fishing trip and I nailed the smallest fish so far to hit one of my jigs. It’s amazing what fish will try to swallow when they are hungry. 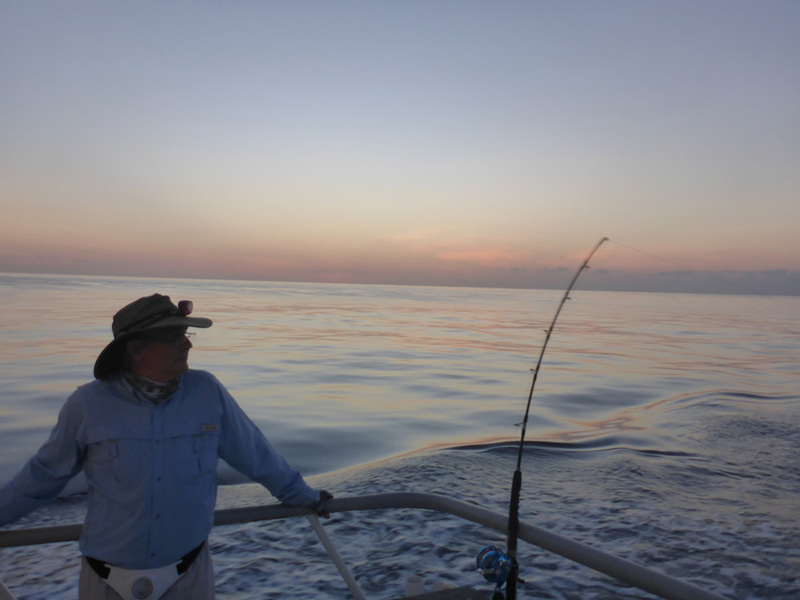 The day ended for us at the bow with Bill and a super nice Grouper. 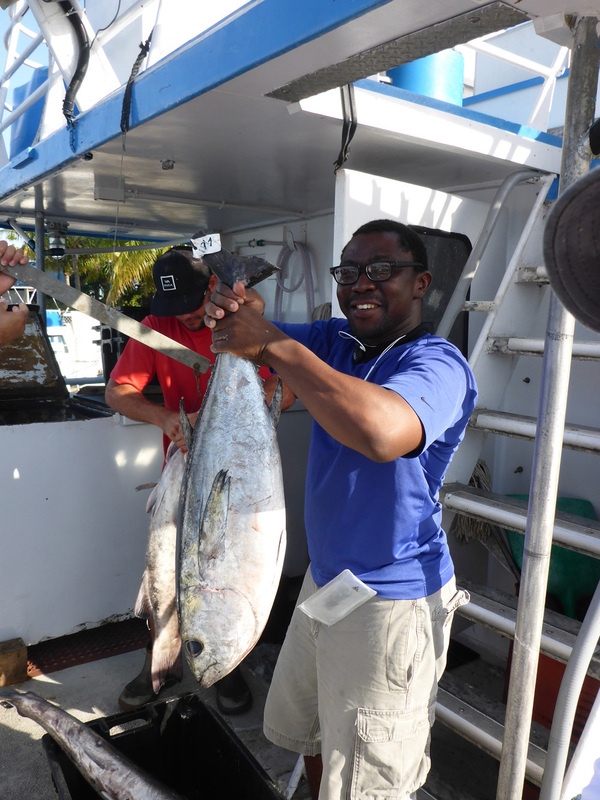 And Victor with a very nice Almaco Jack easily over 20 pounds. 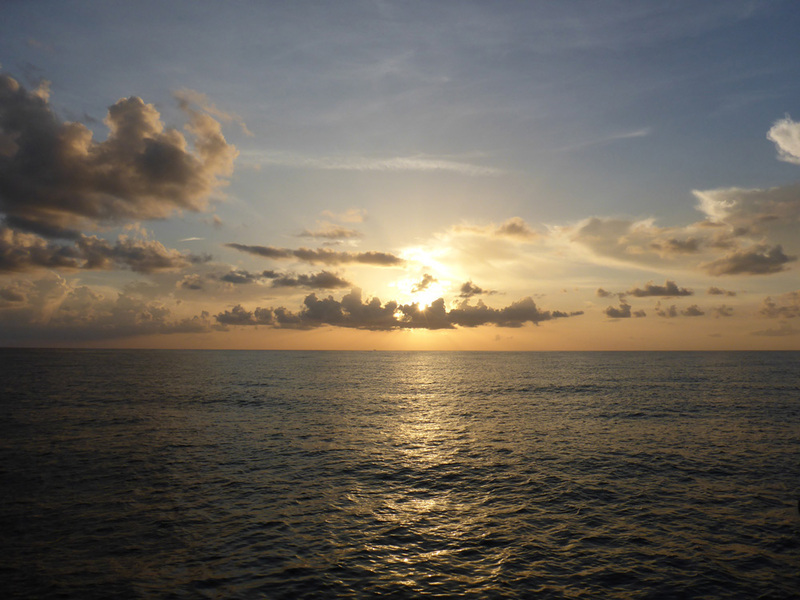 All good things must come to an end, and this time with an awesome Pulley Ridge Sunset. Rori and Bill did not give up on the trolling until the very end. 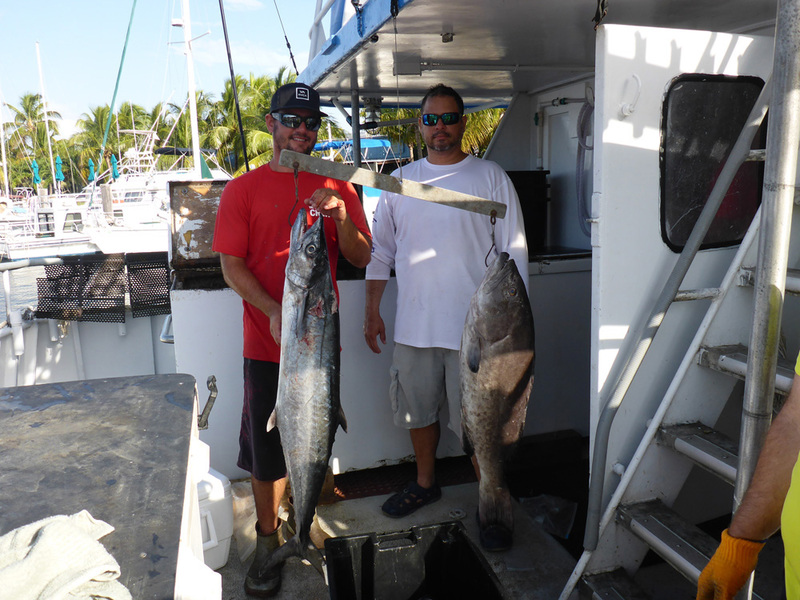 Chris and Rori were hoping for a last minute Wahoo. 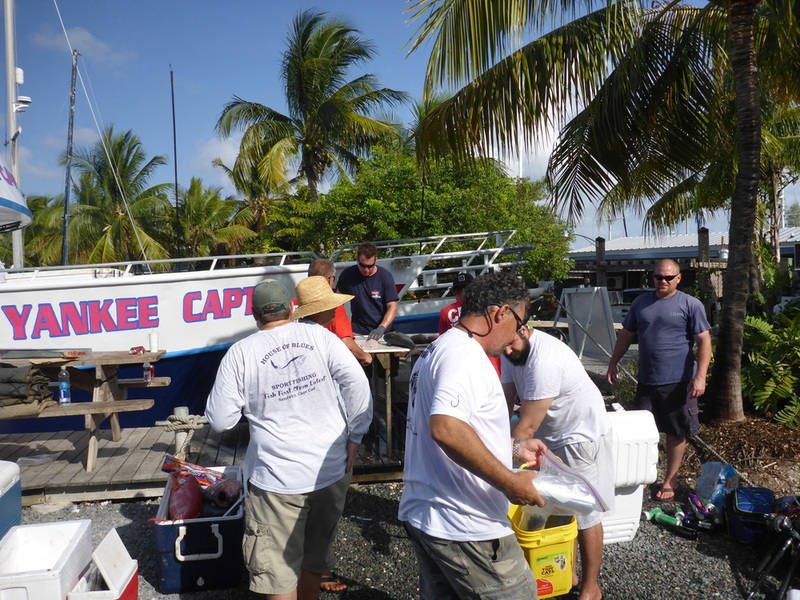 The fishing crew last resort was rest and wait for a dinner snack. 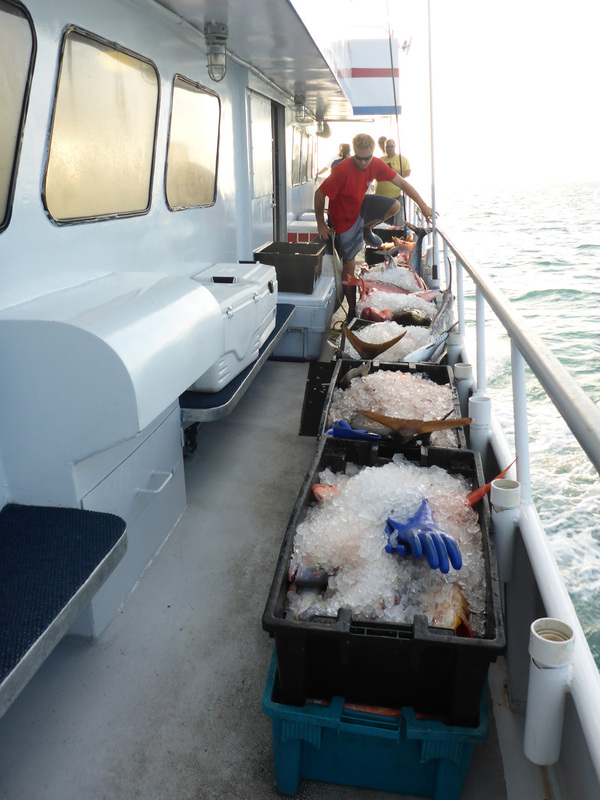 The boat crew lined up all the fish on the side of the boat, getting ready to dock. In total we filled the 2 back coolers and one quarter of the third. Not bad for so many who were here for the very first time. That goes to show that when people follow instructions they get results. 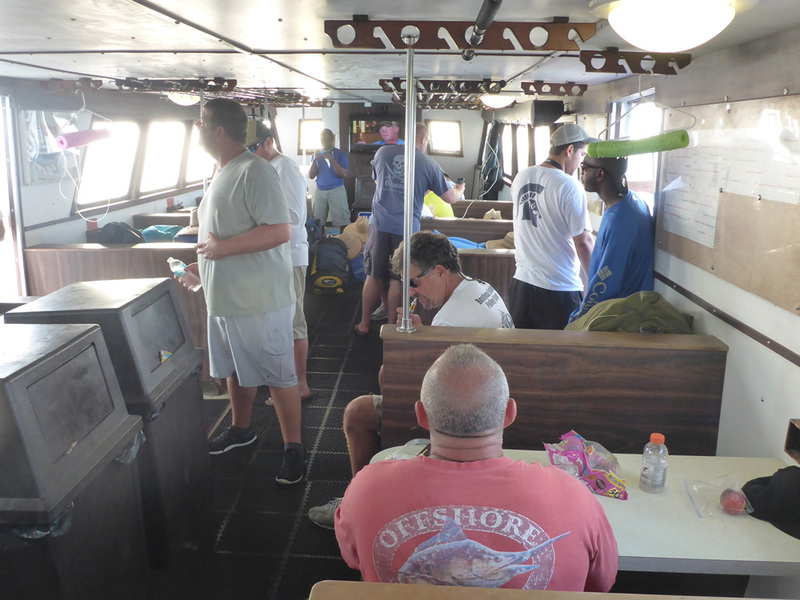 Once docked we got ready to receive our fish and tally for the prizes. 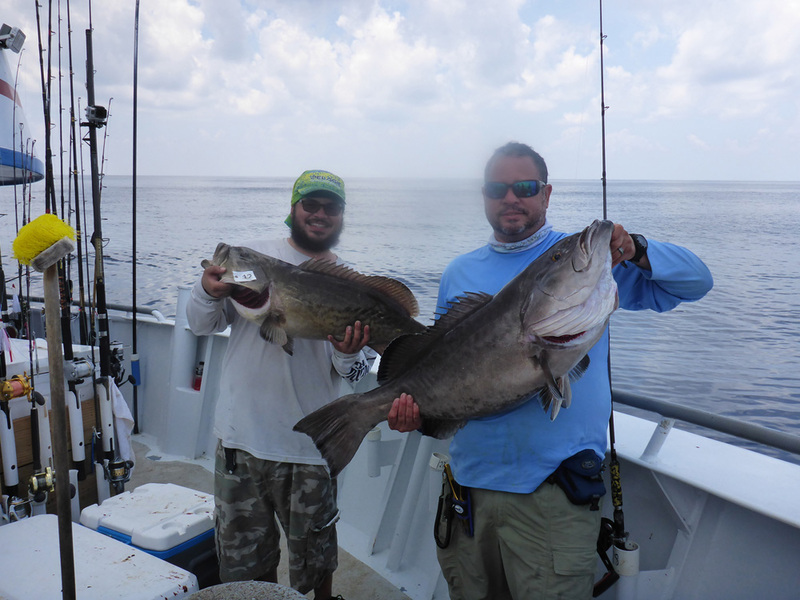 These were the 2 contenders for biggest fish. I happened to win that category, but did take my self out of the non cash prizes since I organized this event. 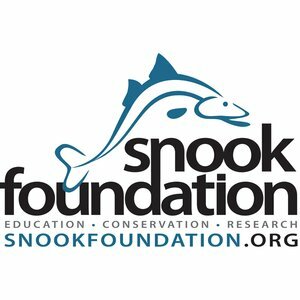 The cash prizes were a pool and had no sponsors in it. 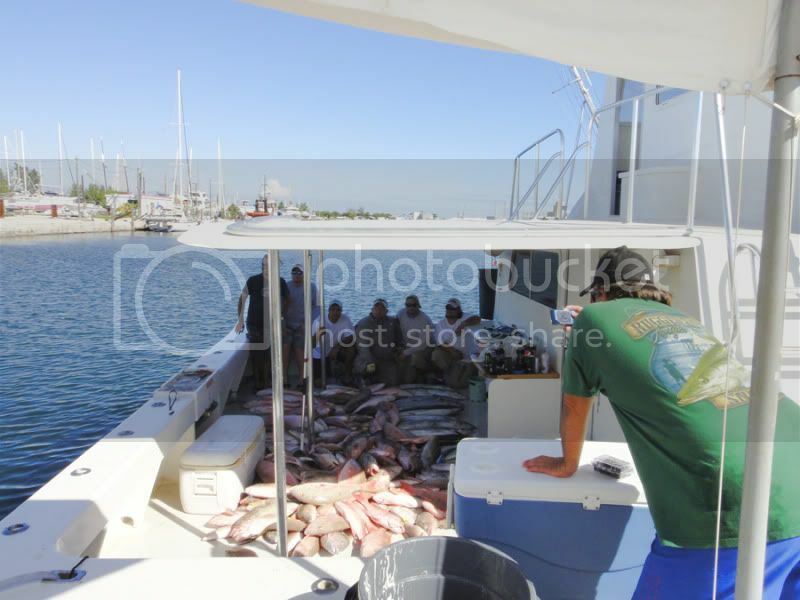 Below are the runners for biggest Snapper. Imran won that category. 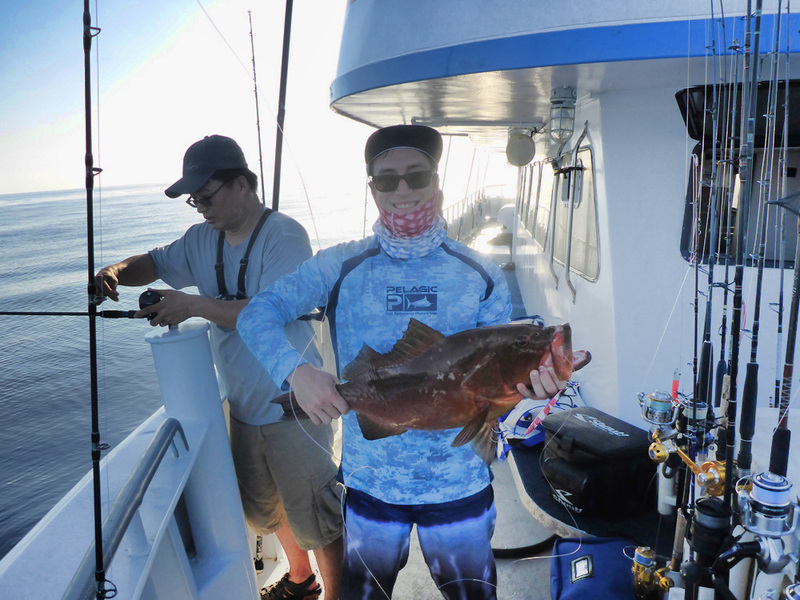 Below is William, he won biggest tuna and 2nd place most Mutton Snappers, Groupers and Blackfin Tunas, he received a fishing trip with Captain Phil Caputo. 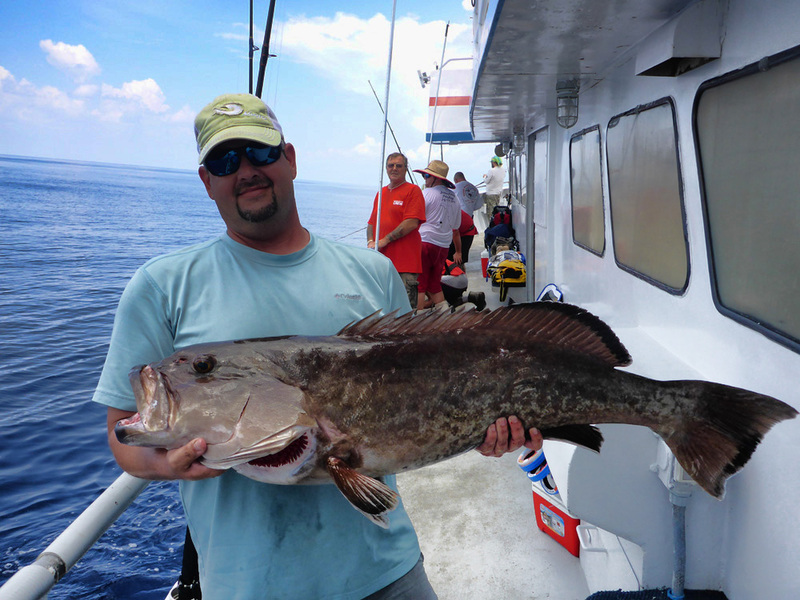 Below is Art, he won First Grouper caught. 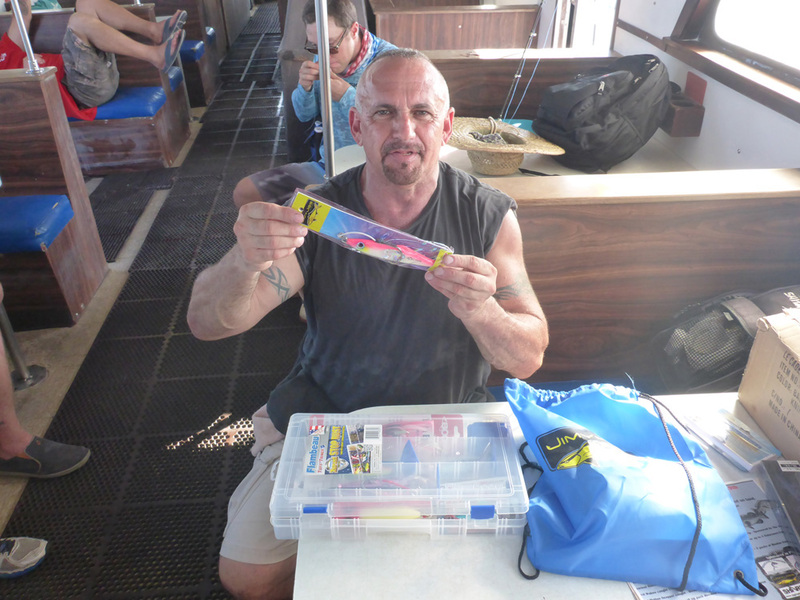 He got a nice set of jigs donated by OSAGE my self and a prize bag donated by JimyjigsUSA. 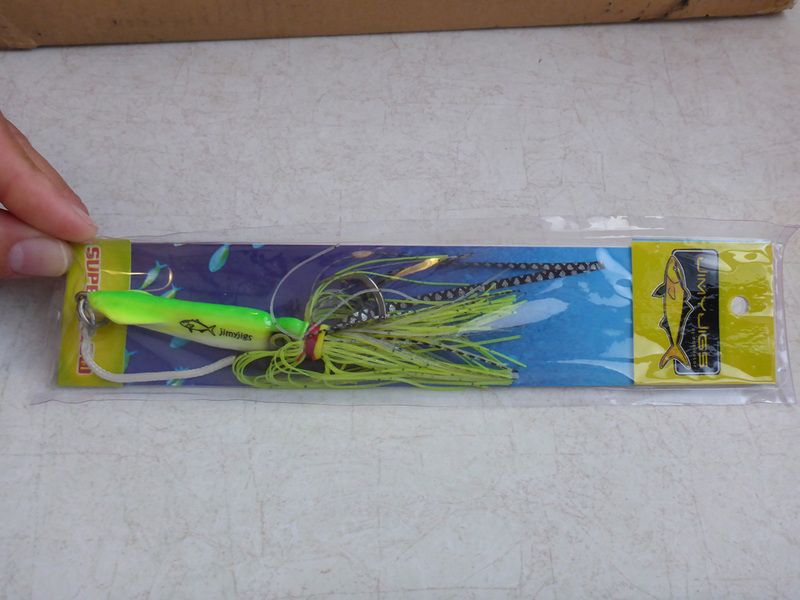 The jigs had a very nice finish to them and the glow paint is high quality. I and others were impressed with the finish. 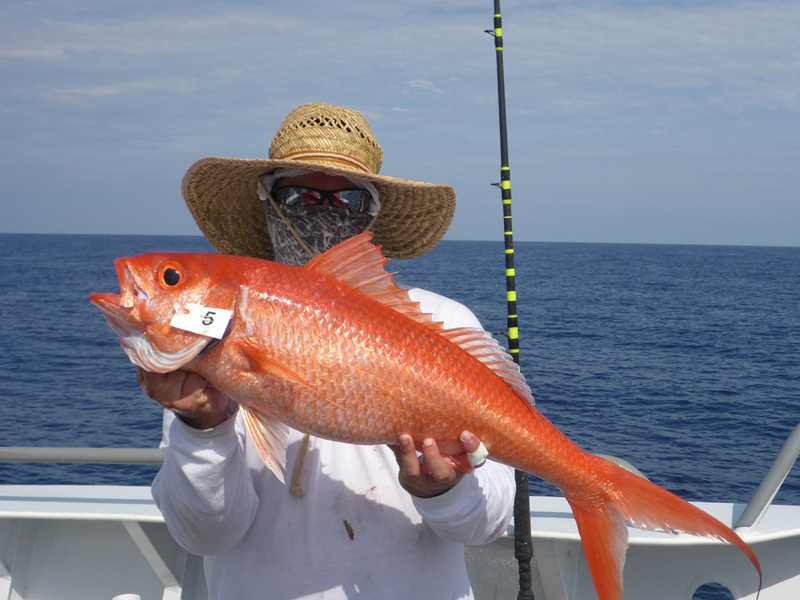 Below is Bill, he won First Mutton Snapper caught. 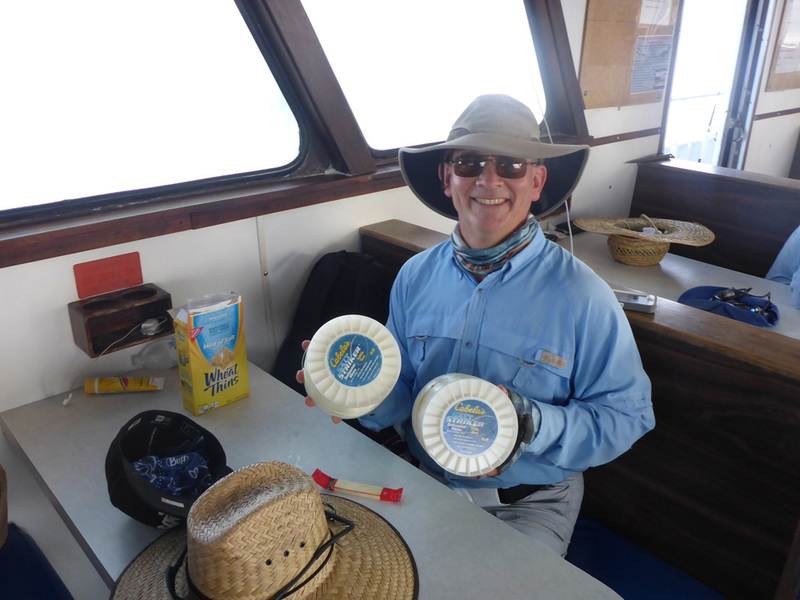 He received two one pound spools of mono donated by Art. 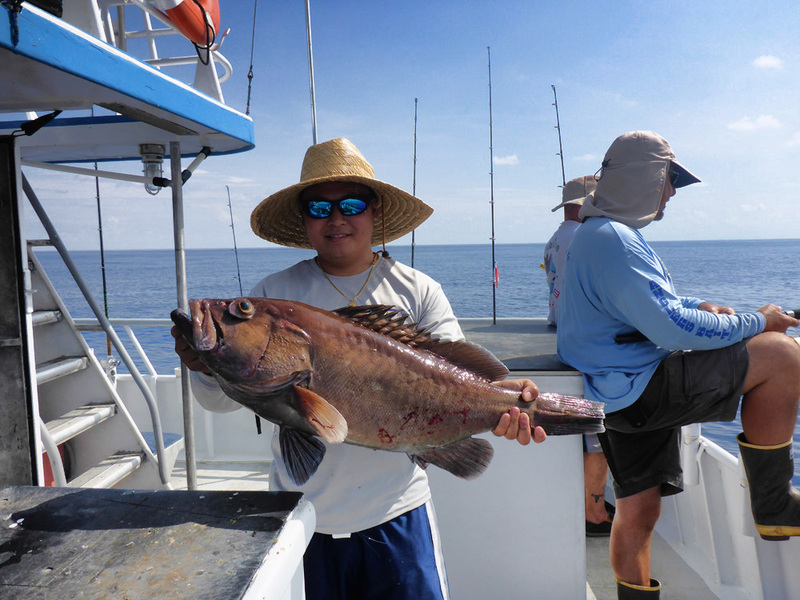 Below is Quy, he won most Mutton Snappers, Groupers, and Blackfin Tunas Combined. 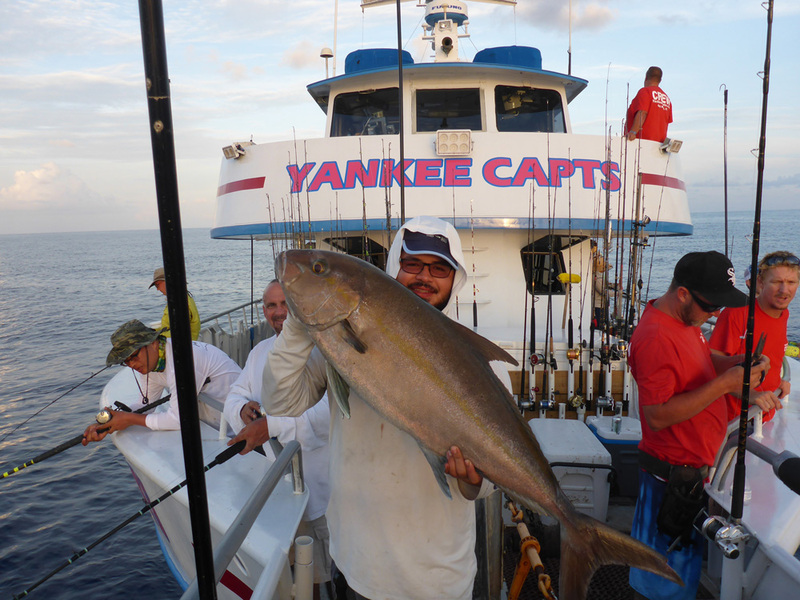 He received a free 3 day Dry Tortugas fishing trip on the Yankee Capts. 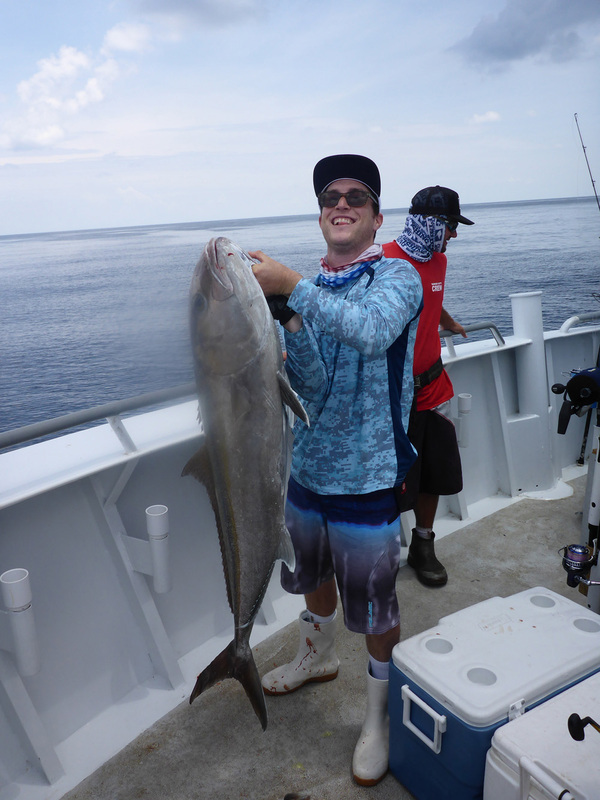 Below is William, with his prize for biggest tuna caught. 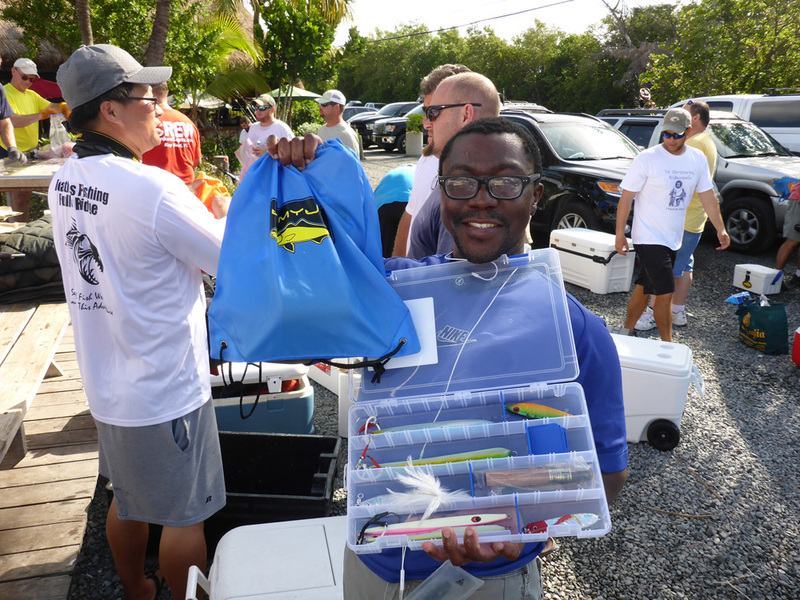 He Receive OTI poppers donated by OSAGE and a prize bag donated by JimyjigsUSA. 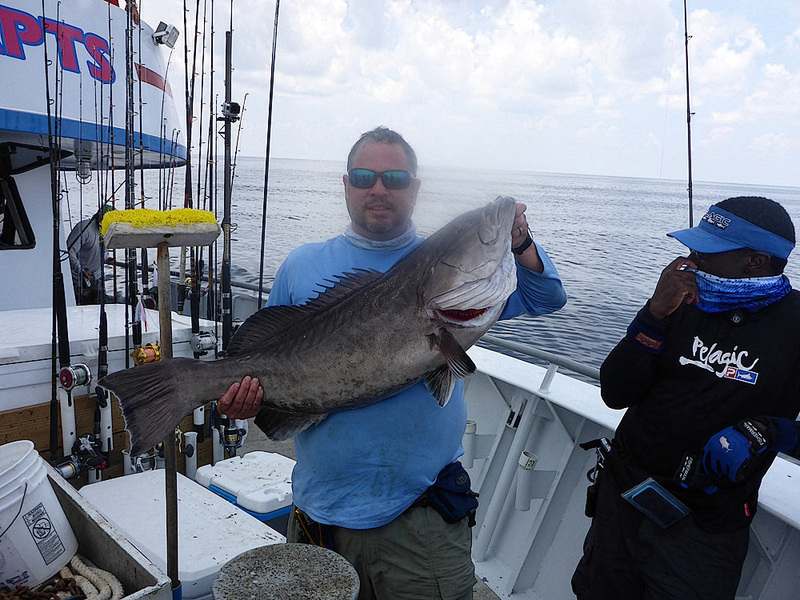 Below and again is William, he also won Heaviest fish caught on jig. He received a Vertical jig pack donated by OSAGE and my self. He also received a prize bag donated by Jimyjigs USA. 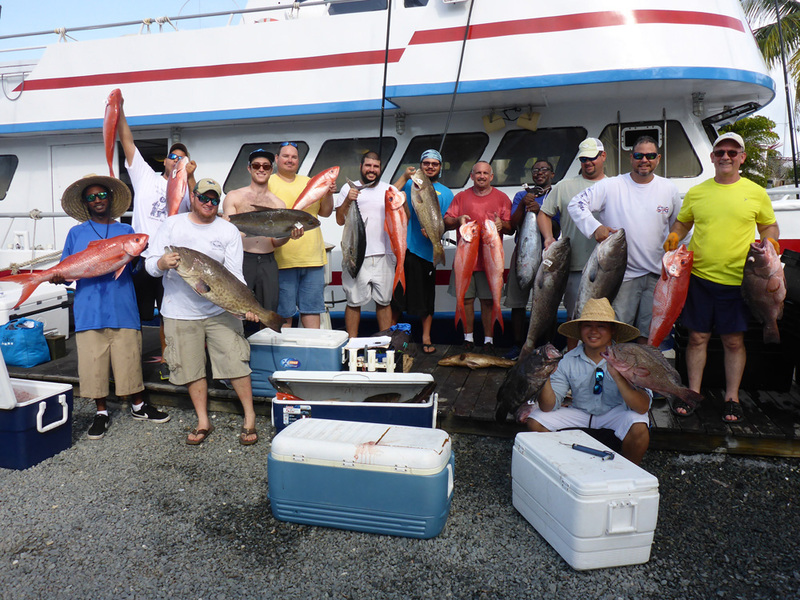 And Once again William won with heaviest combined weight of Snapper, Grouper, and Blackfin Tunas. 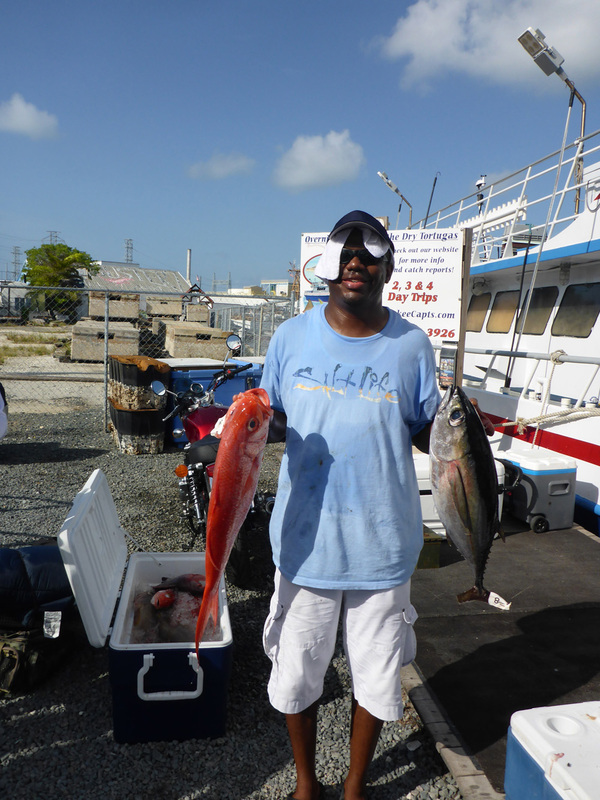 Below is Andre, he won 3rd Place with most Mutton Snappers, Groupers, and Blackfin Tunas caught. He received 2 Packs of Mentos and a $50 gift certificate. 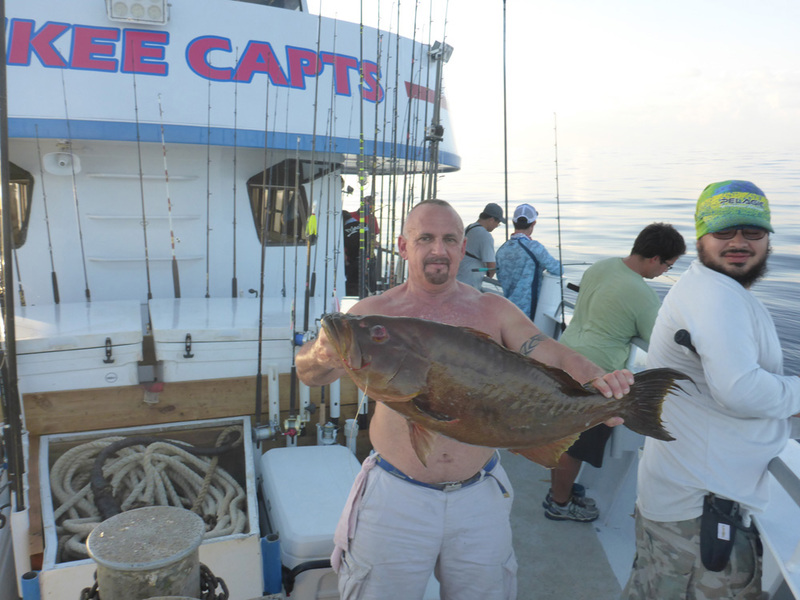 Below is Chris, he won 4th place most Mutton Snappers, Grouper, and Black fin Tunas caught. 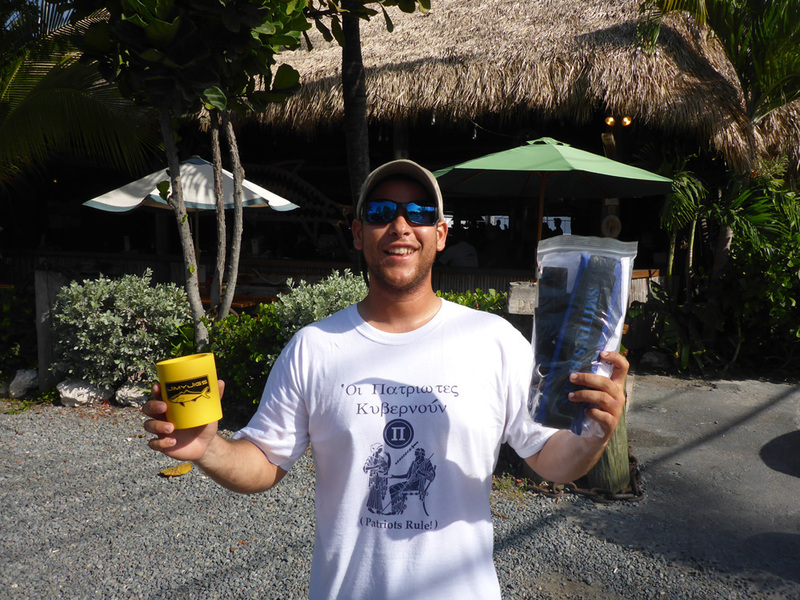 He received a Harness donated by Patrick and a JimyjigsUSA Koozie. 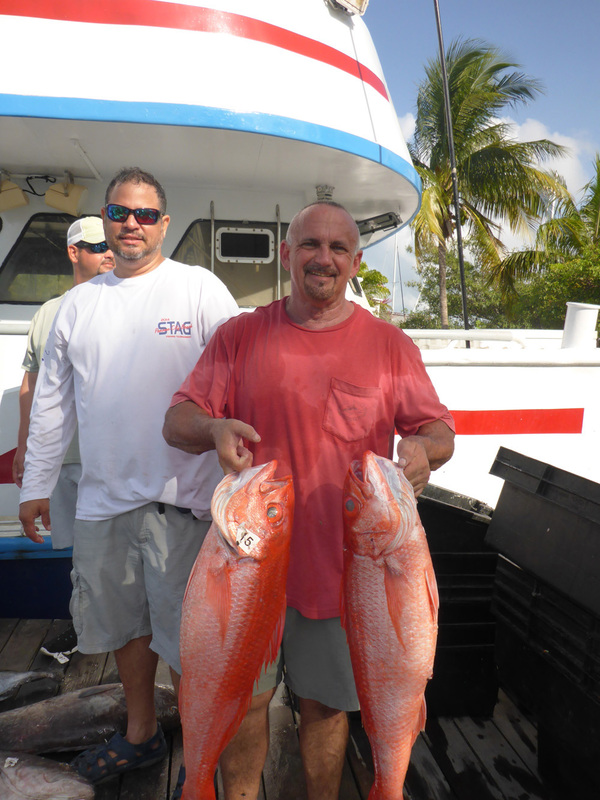 Here is another look at Art’s Queen Snappers. These were runner ups to biggest nappers. 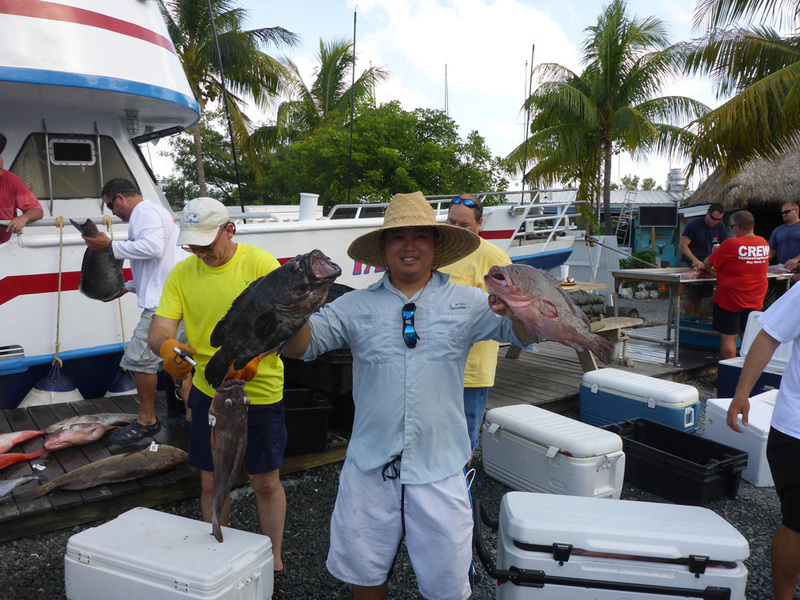 Victor and Danny show us their groupers once again. 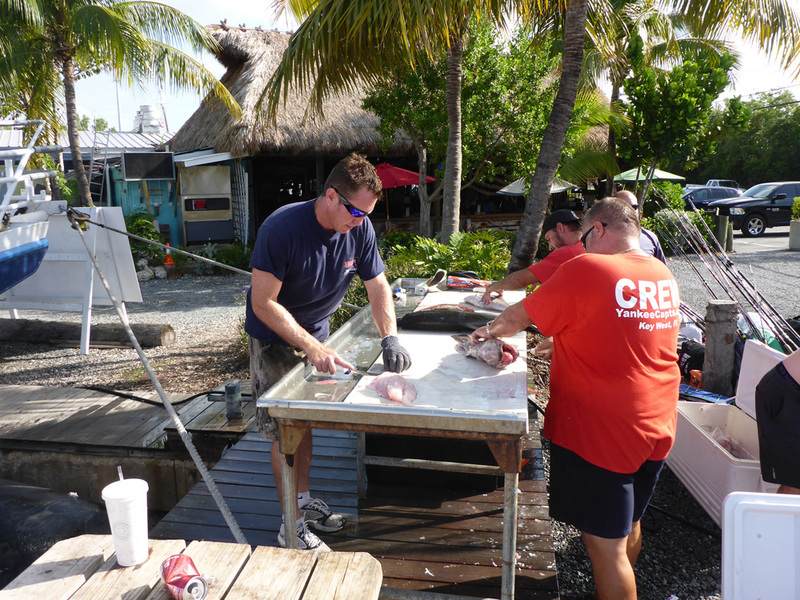 The crew cleaning the fish. And to finish it all off here is the group shot and two panoramic shots. Please visit our trip sponsors. They were generous and very professional with their Prizes. 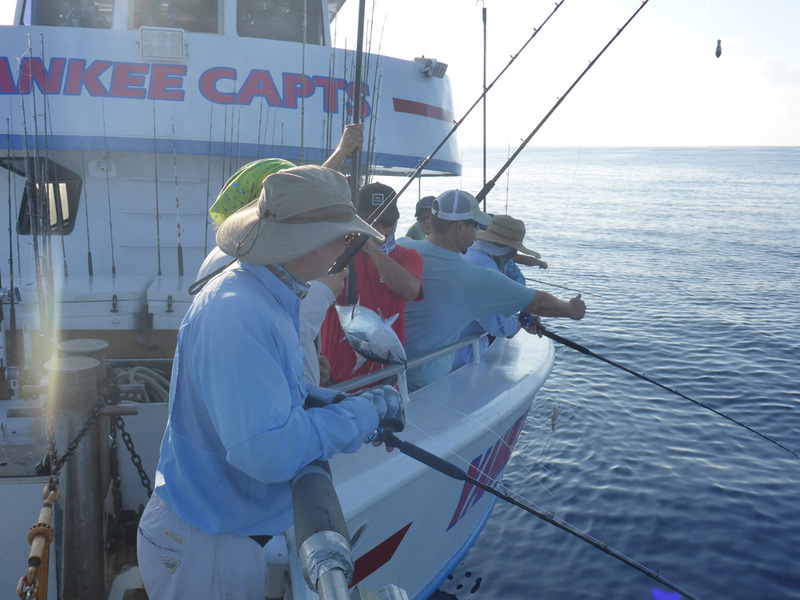 Our trip not only became a special novelty trip, it became a mini tournament on its own thanks to officer Chris’ idea, a California Long Range trip and Dry Tortugas trips veteran on board of different vessels. 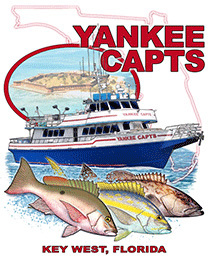 I started to look for sponsors right away and was very happy that Capt. 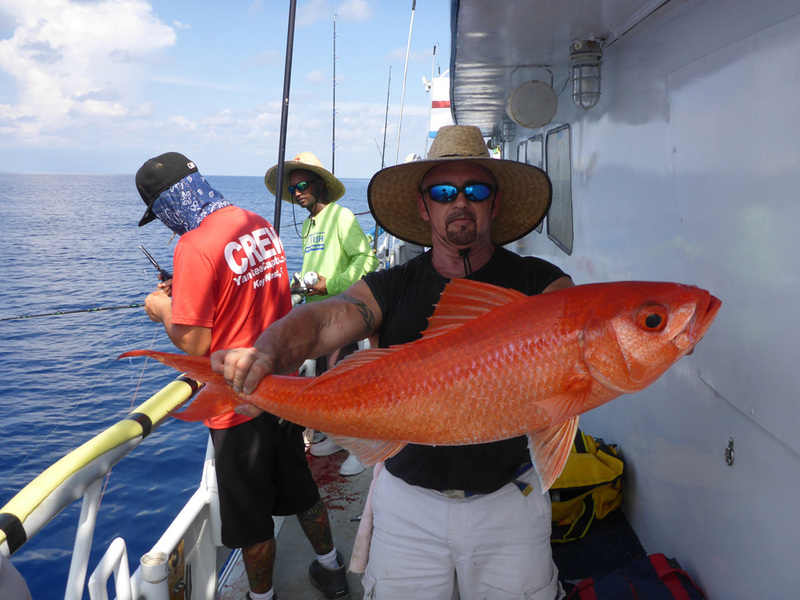 Greg Mercurio sponsored us from the start, not only did he waved the fuel surcharge for our Long Range Fishing Trip, he also donated a free 3 day fishing trip to the Dry Tortugas. 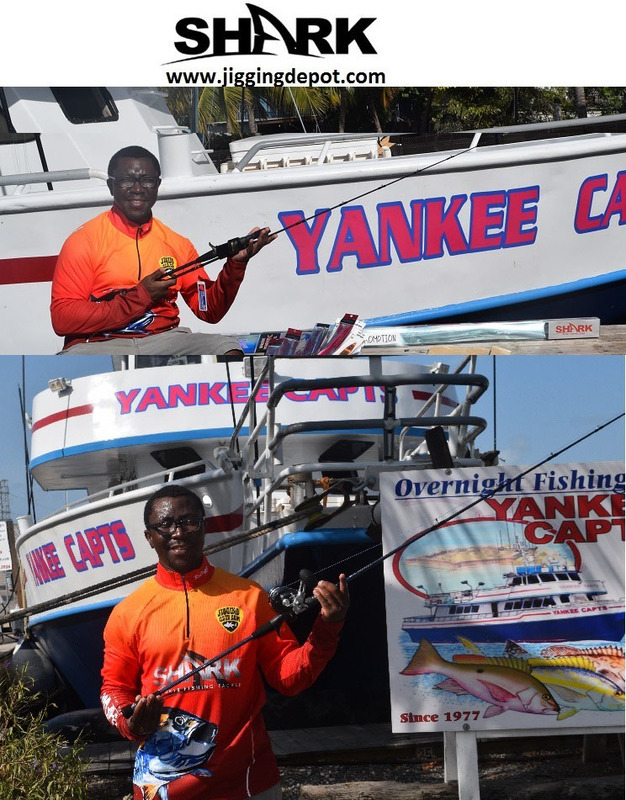 Also to add to our prizes Nilson Soto a member of several fishing forums and avid Land Based Fisherman and with several Dry Tortugas fishing trips on his belt donated an unusual prize. Osage a vertical fishing veteran also donated jigs to our mini tournament. Art who is another Florida Long Range veteran and an original Pulley Ridge pioneer donated 2 full spools of mono. 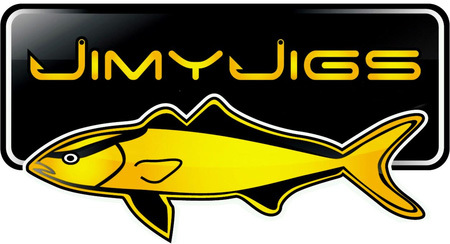 I posted on several places looking for sponsors and JimyjigsUSA came on board on their own, we really appreciate they did that and were impressed on the quality finish of their jigs. 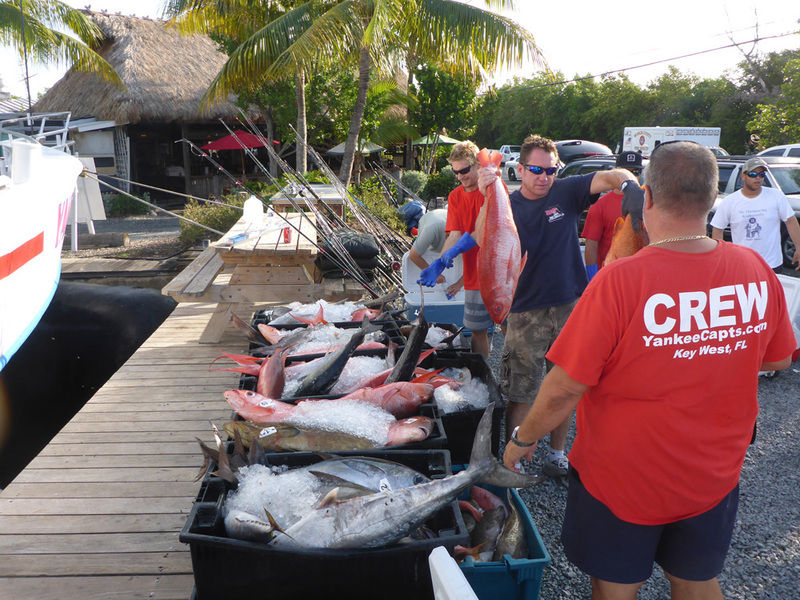 Shortly after, Captain Phil Caputo donated a full day fishing trip as well. 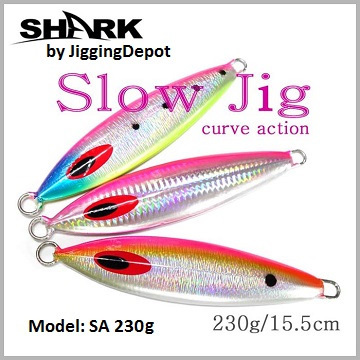 Jongsoo, a representative of Shark Jigs came on board with a full load of samples and great prizes. 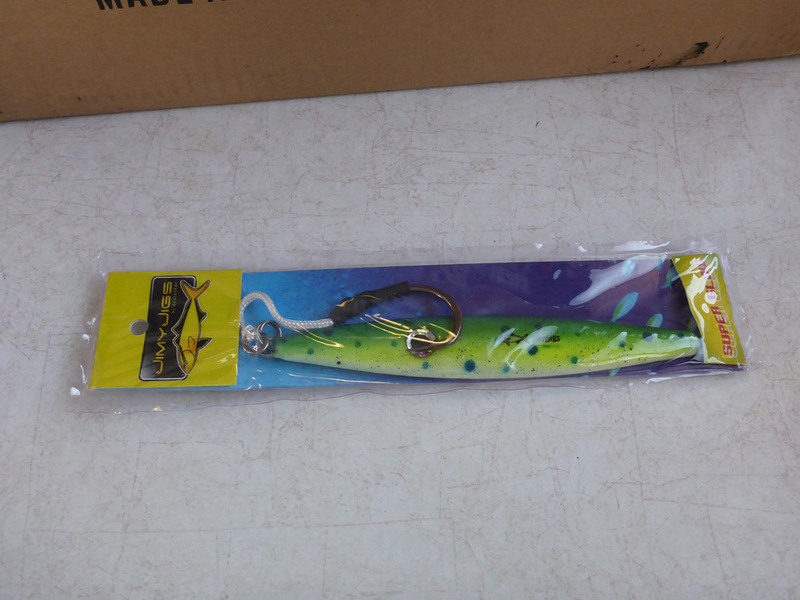 The jigs functioned perfectly and were of high quality. We were very grateful to all those that donated to our mini tournament.